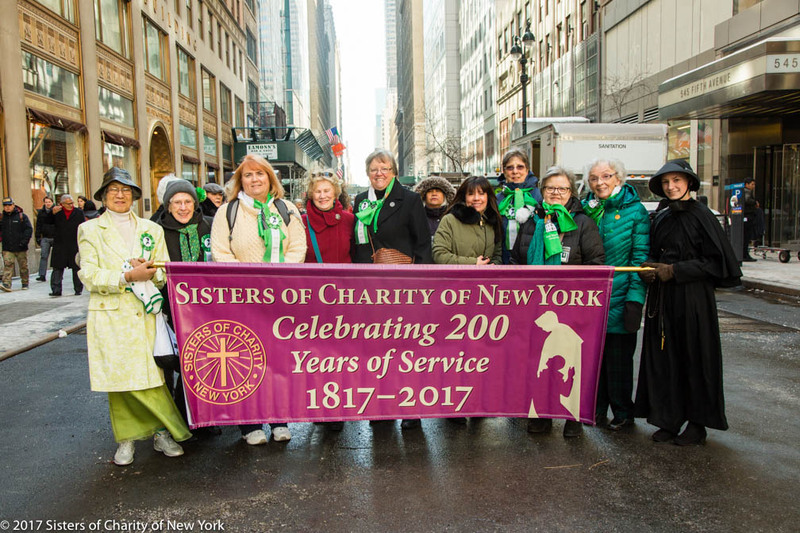 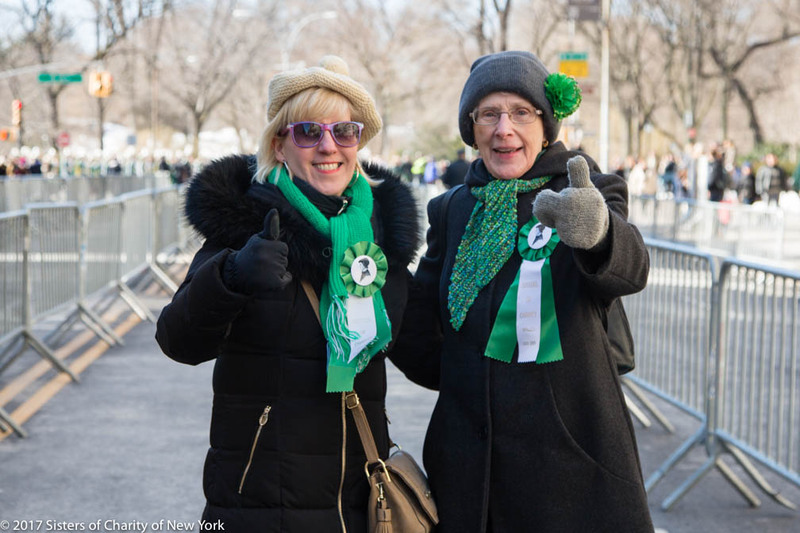 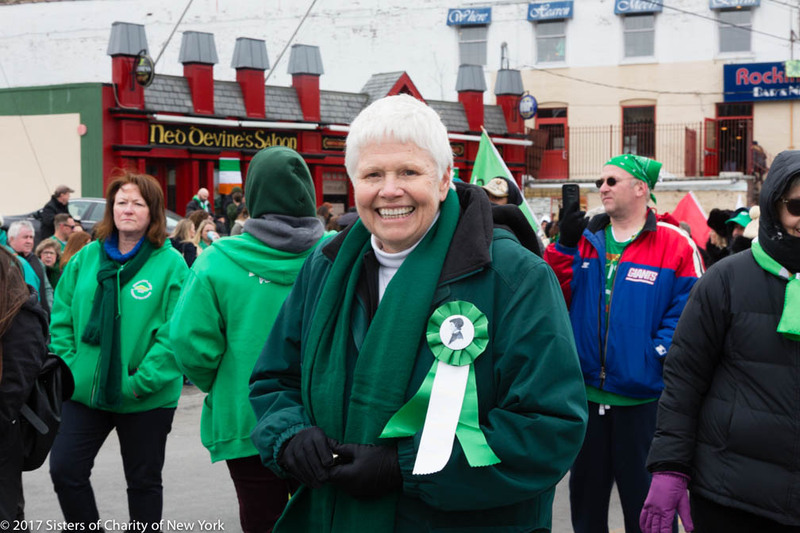 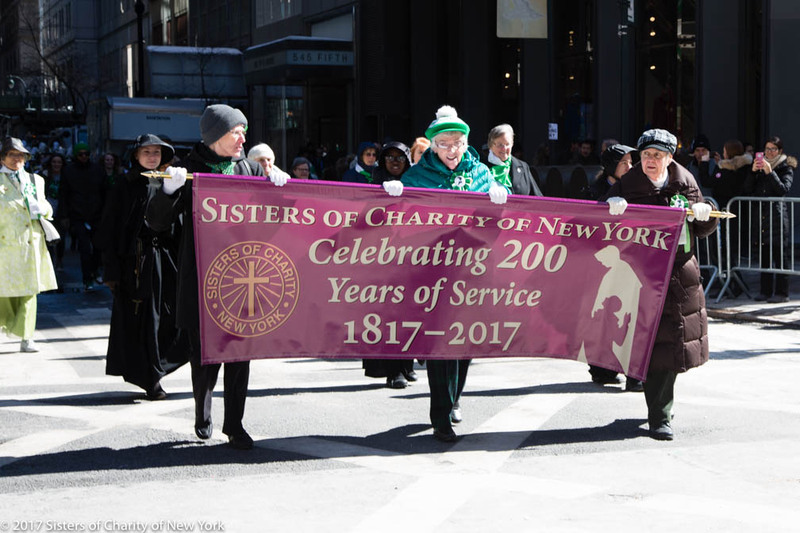 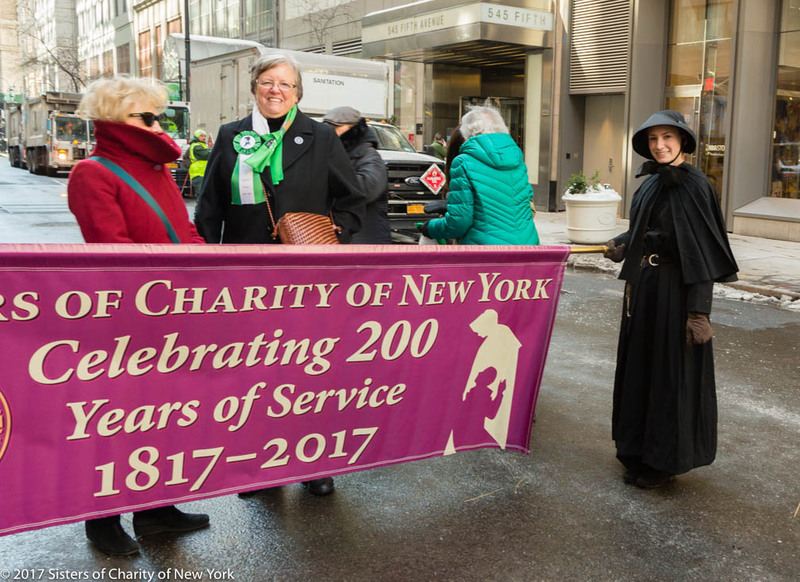 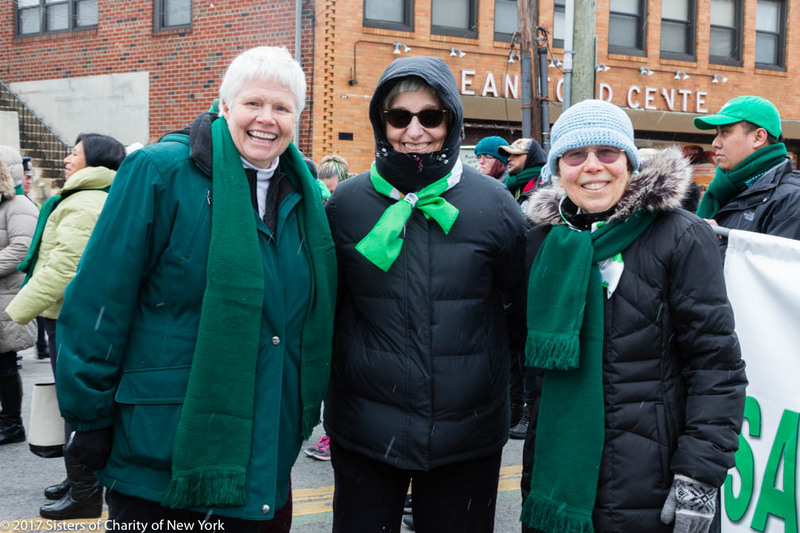 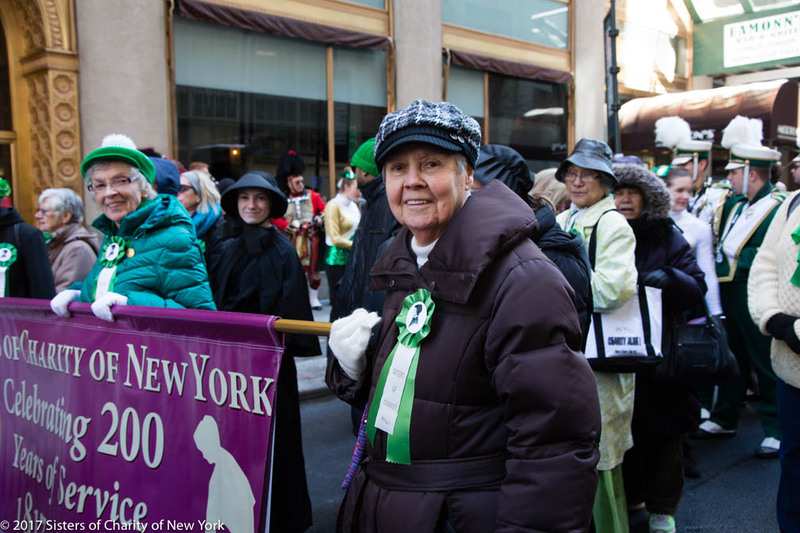 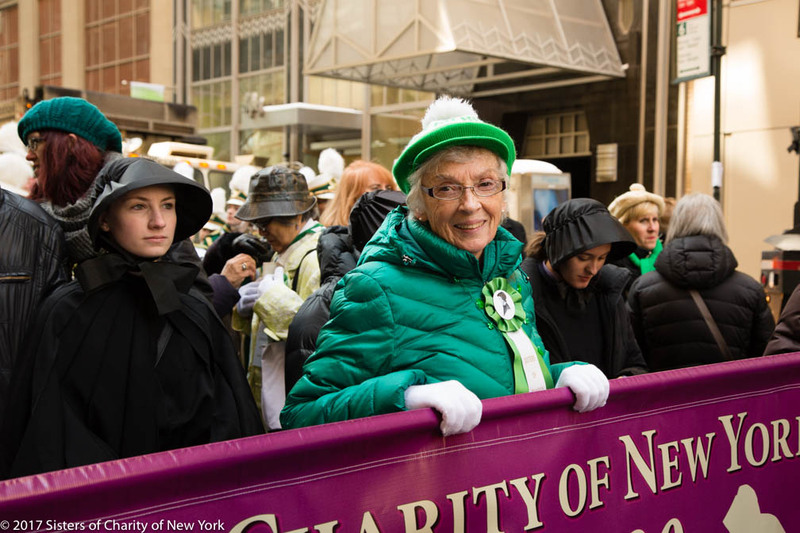 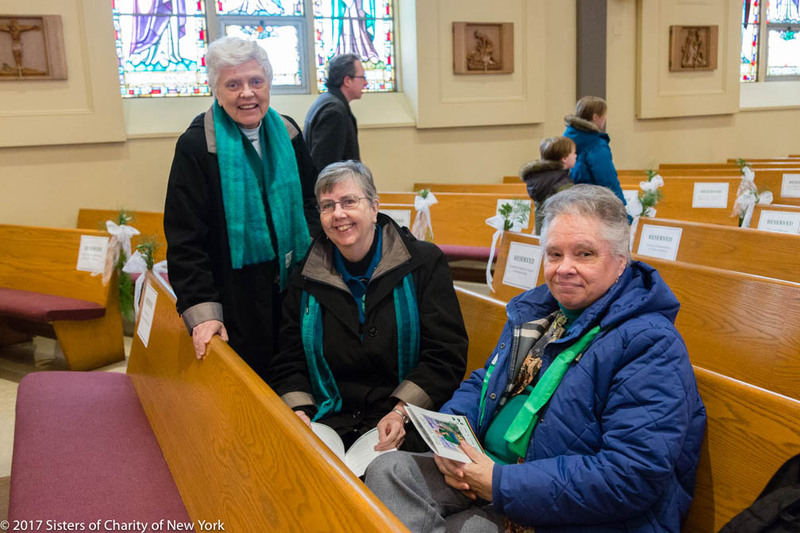 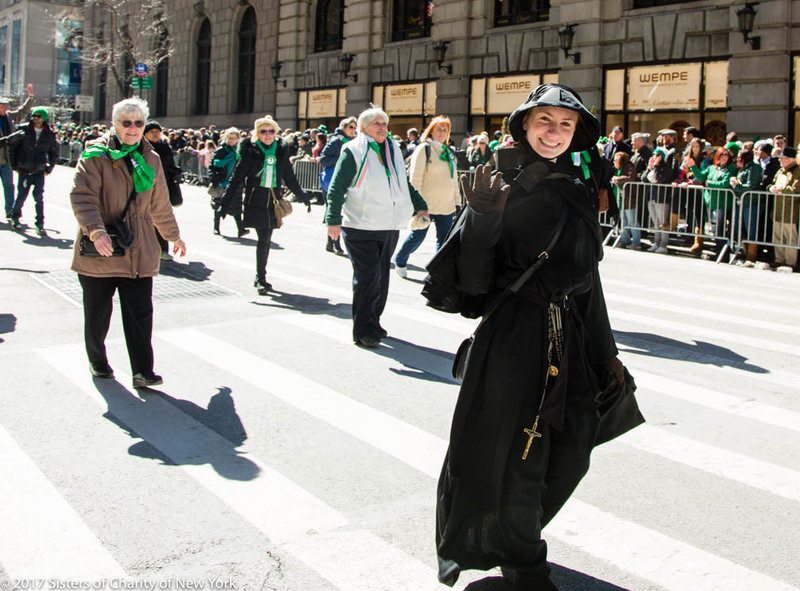 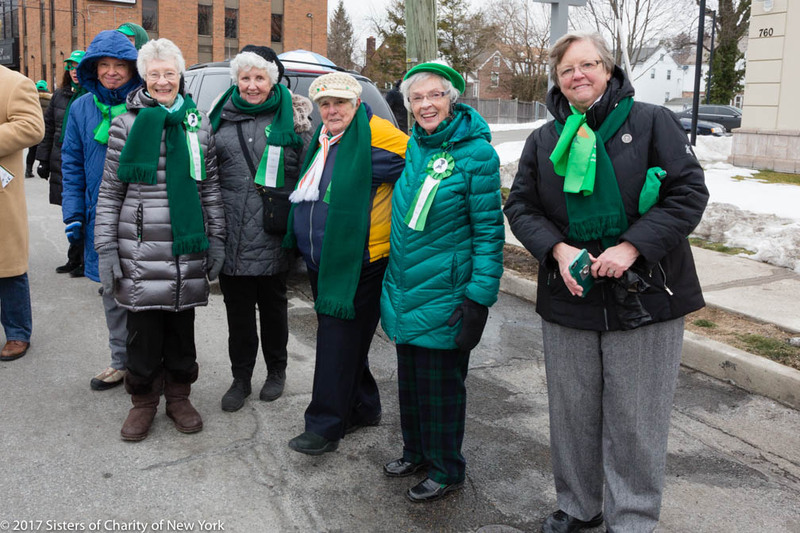 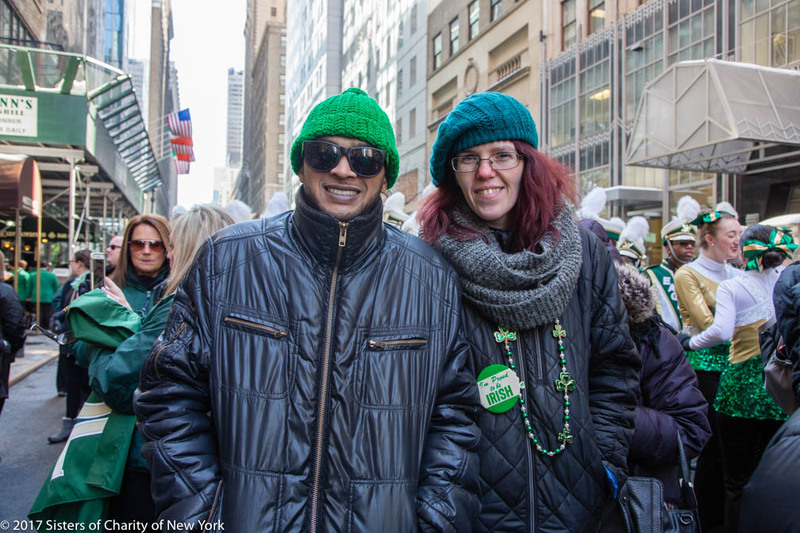 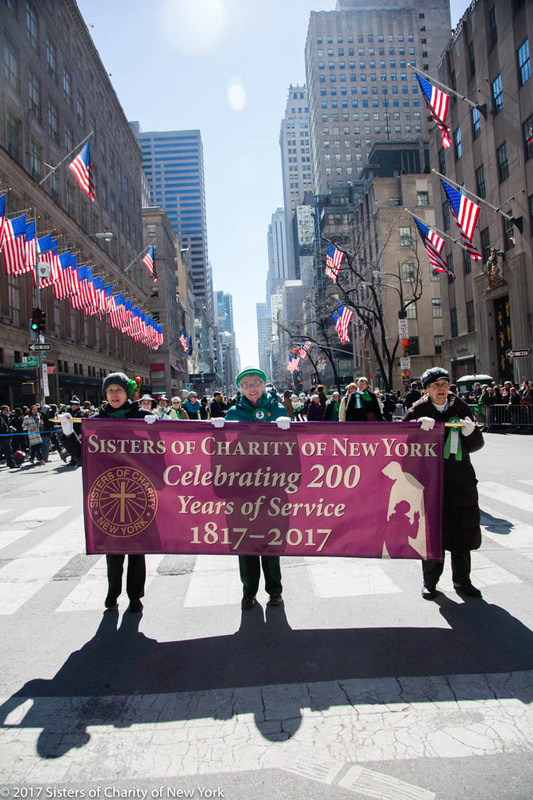 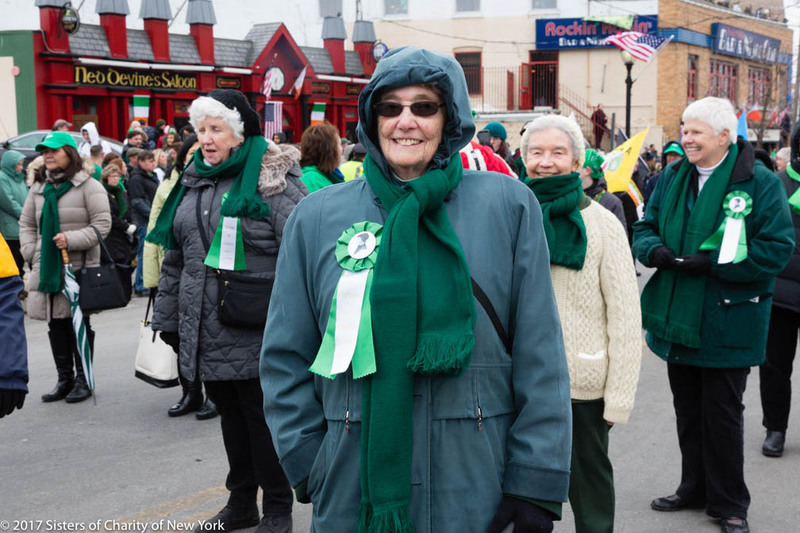 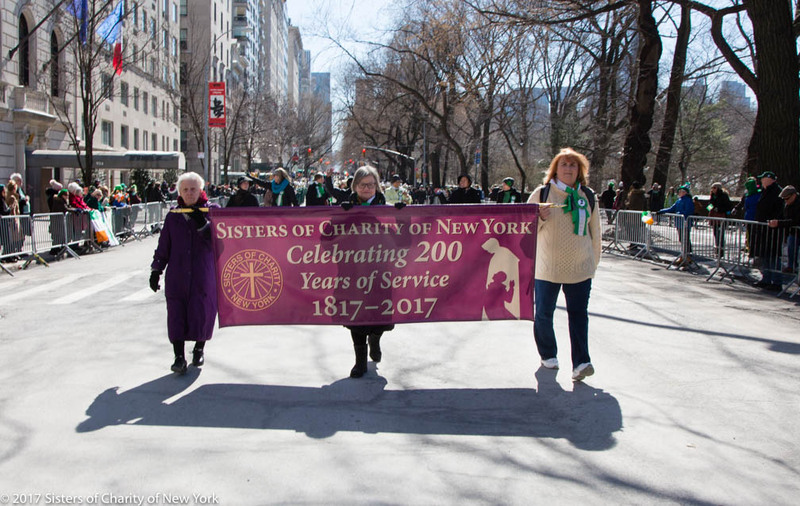 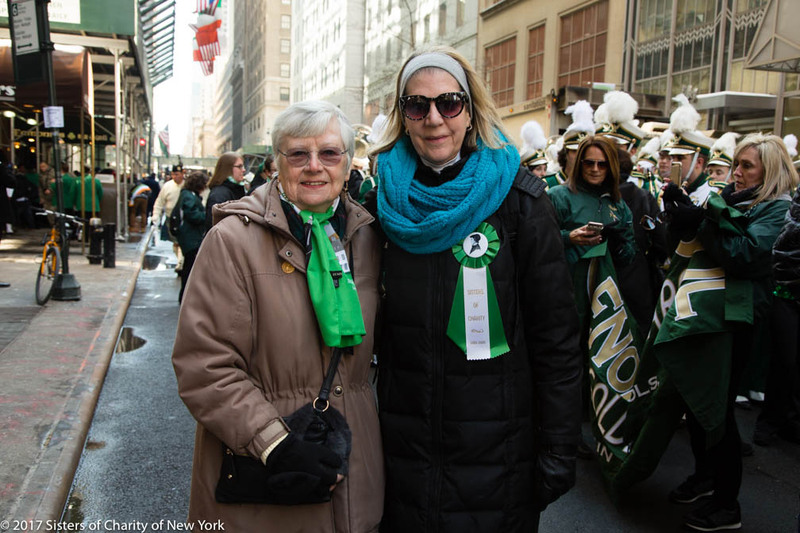 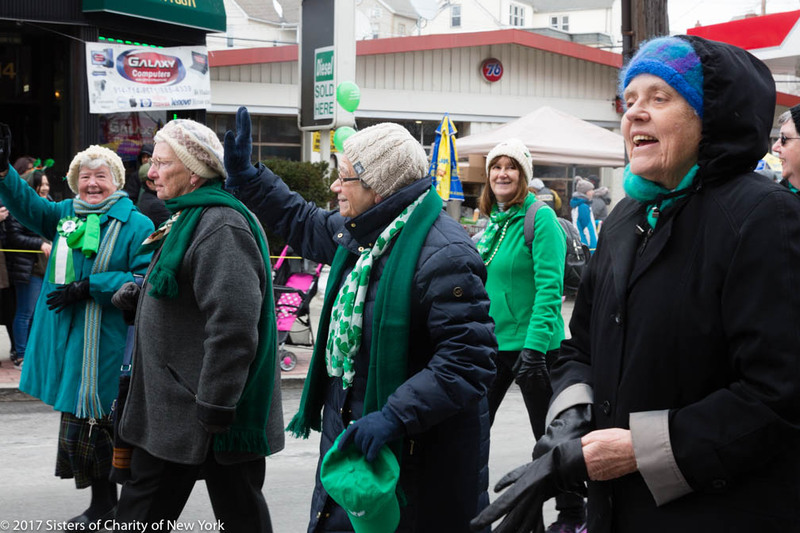 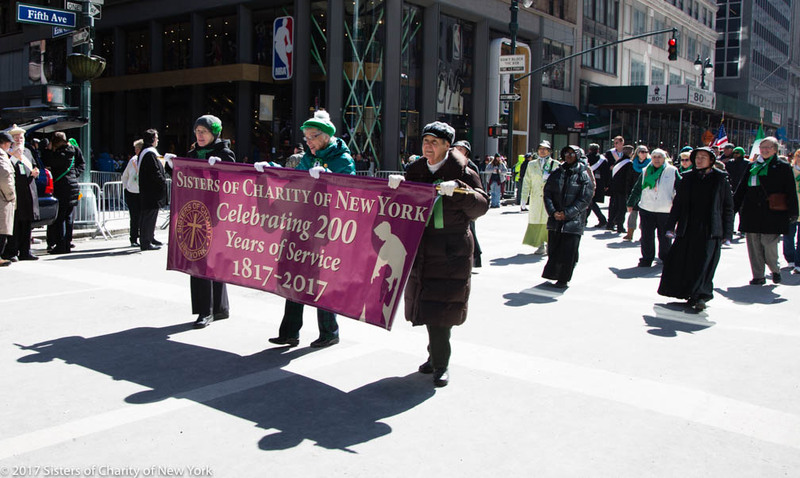 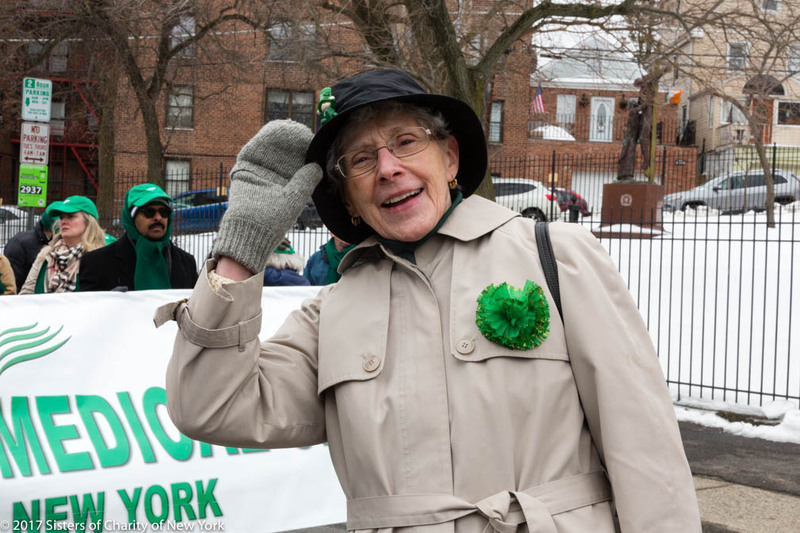 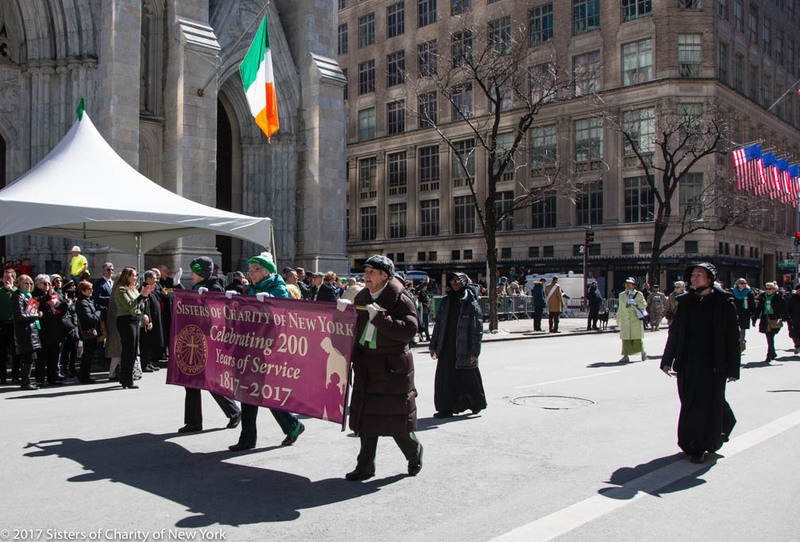 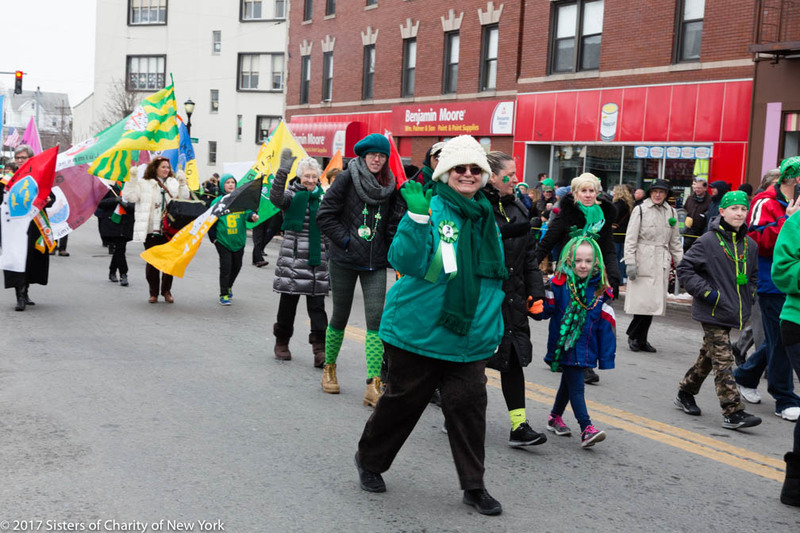 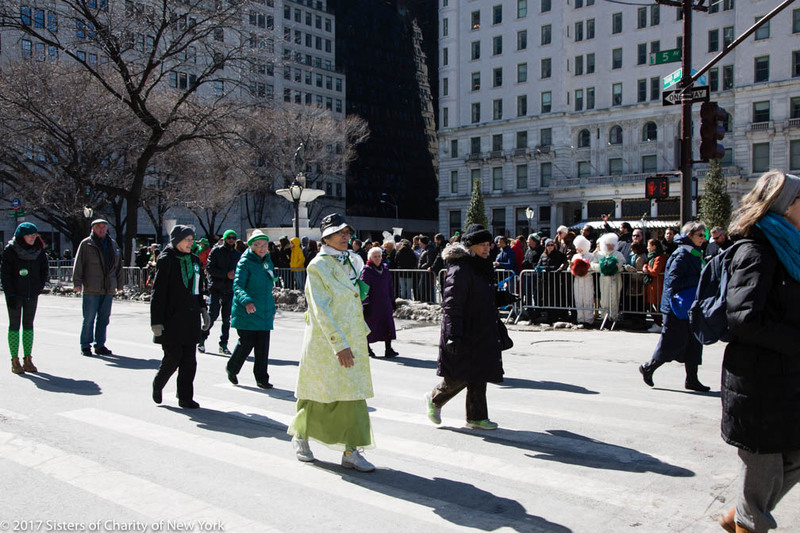 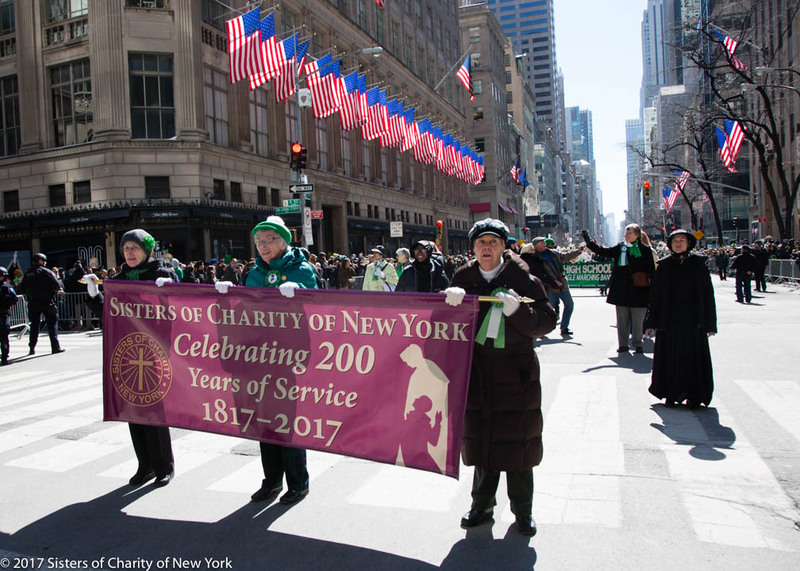 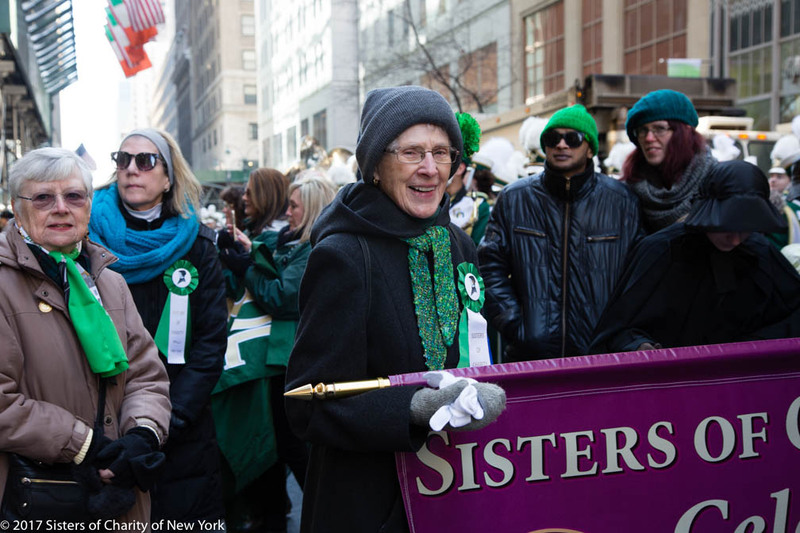 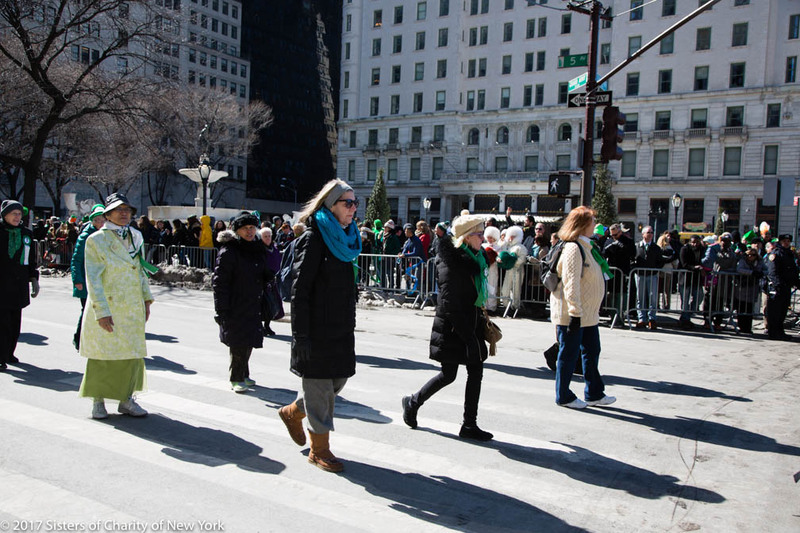 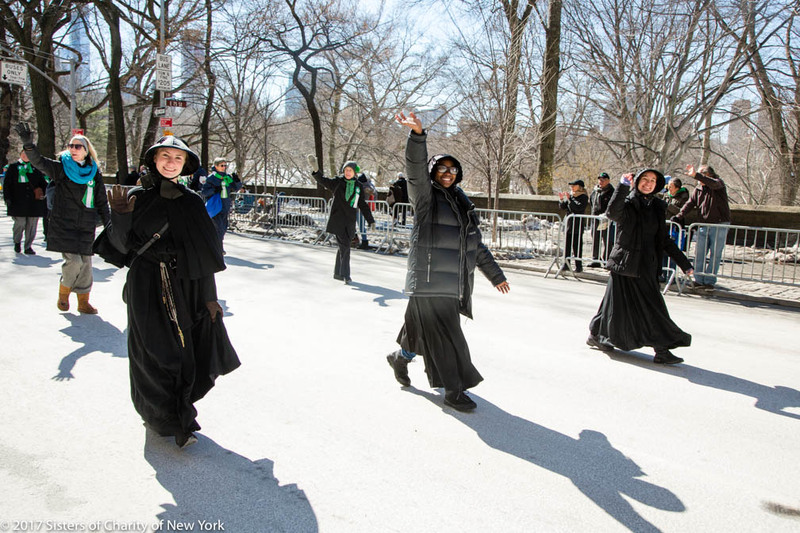 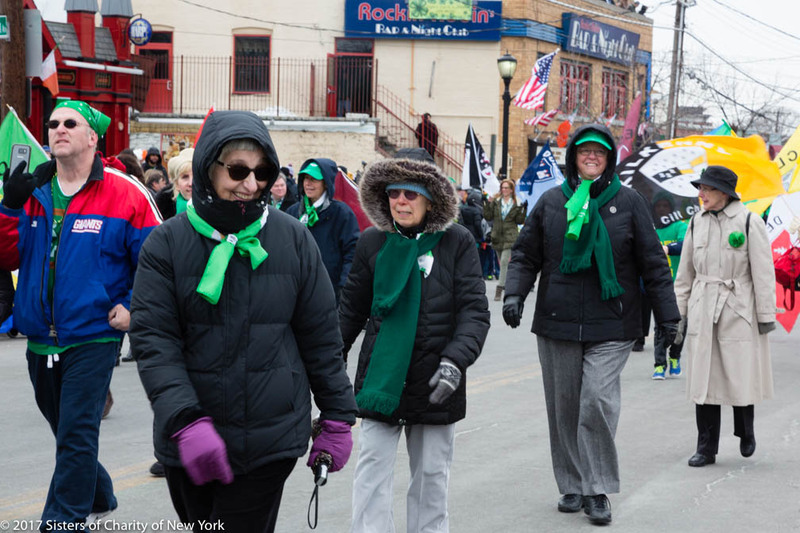 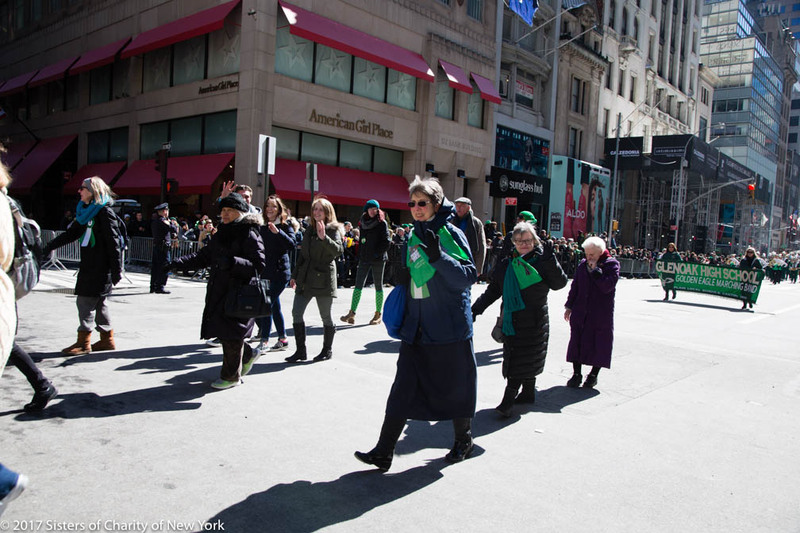 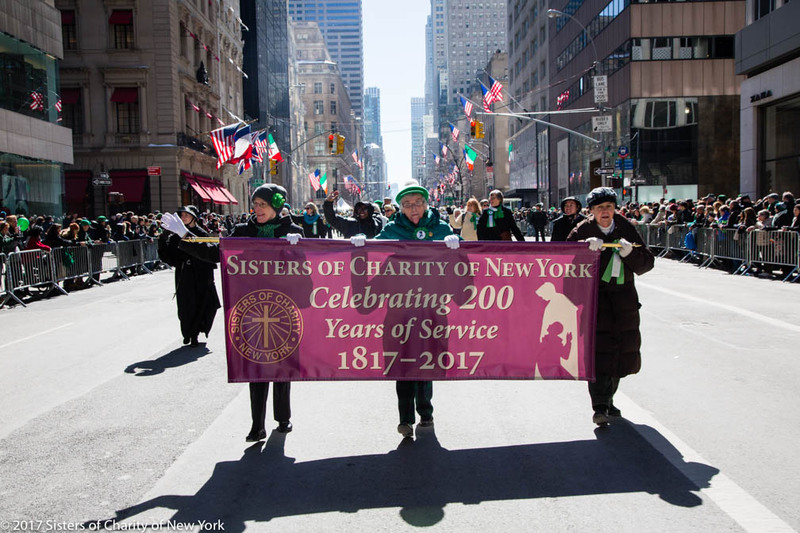 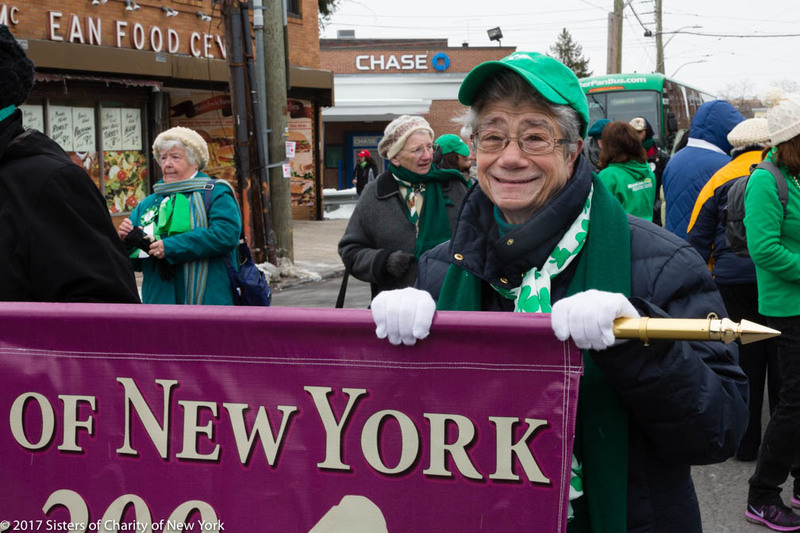 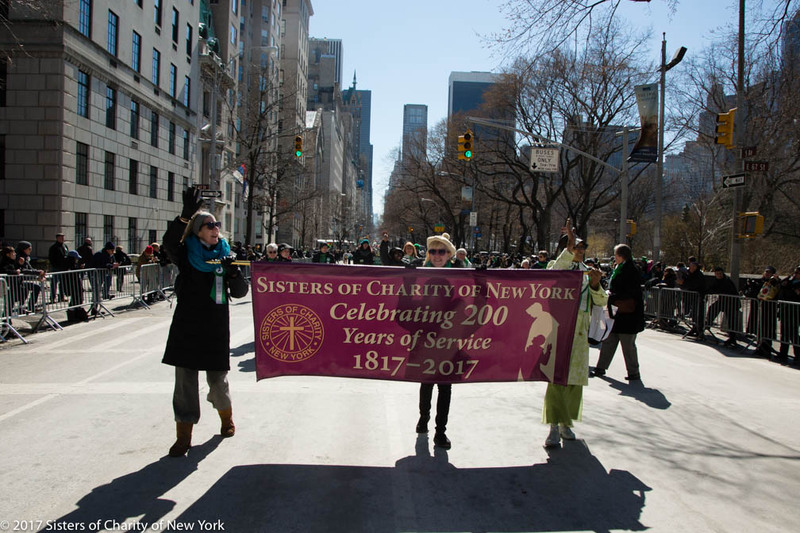 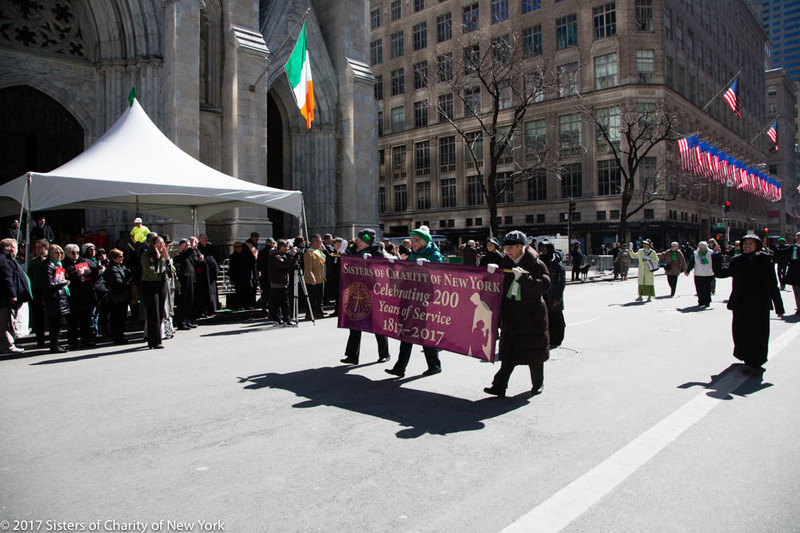 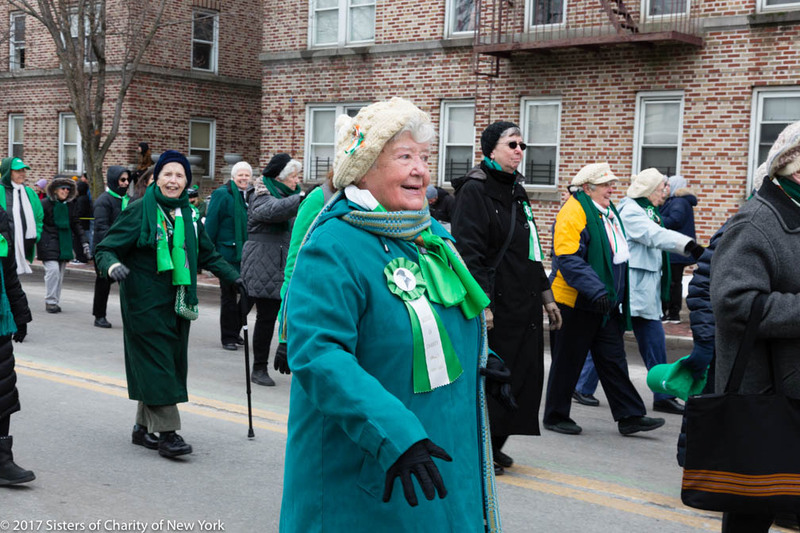 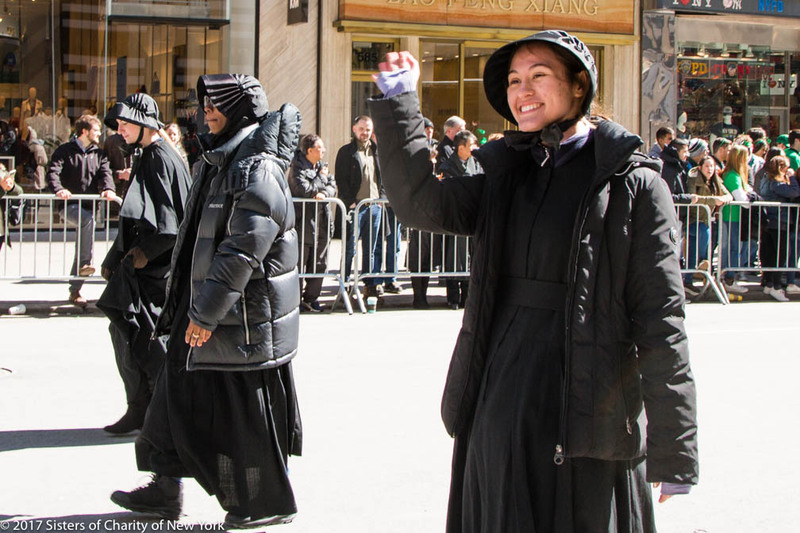 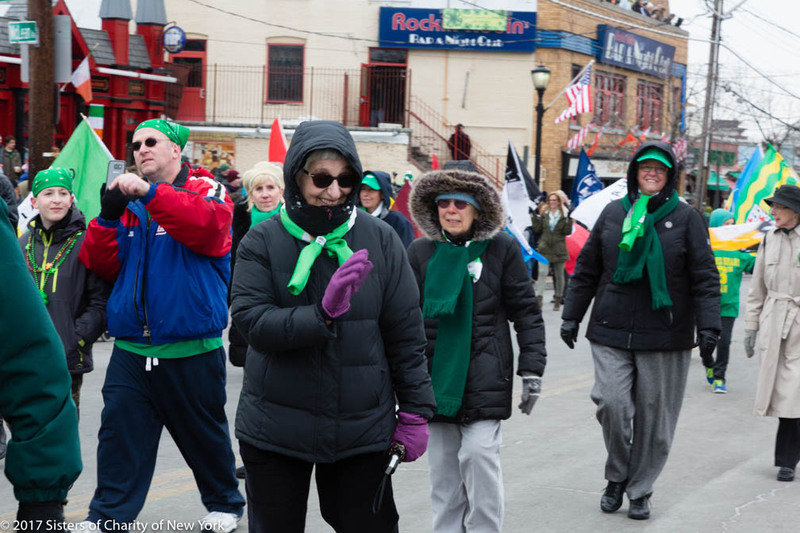 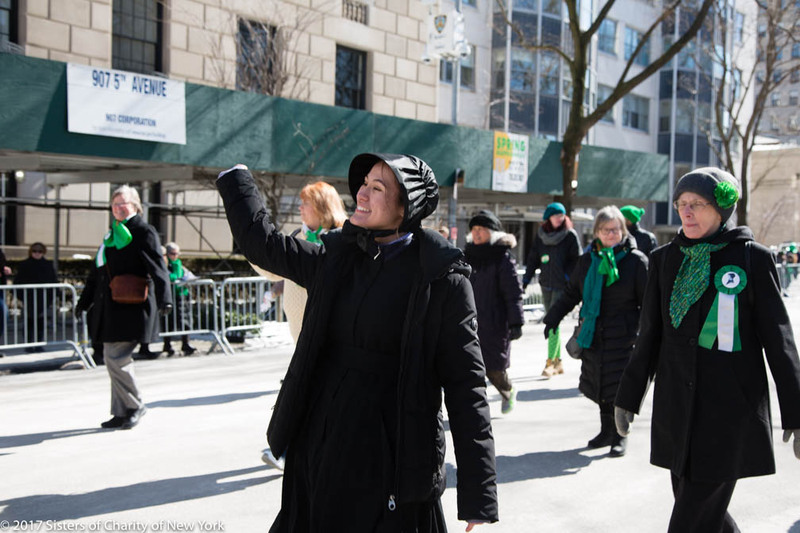 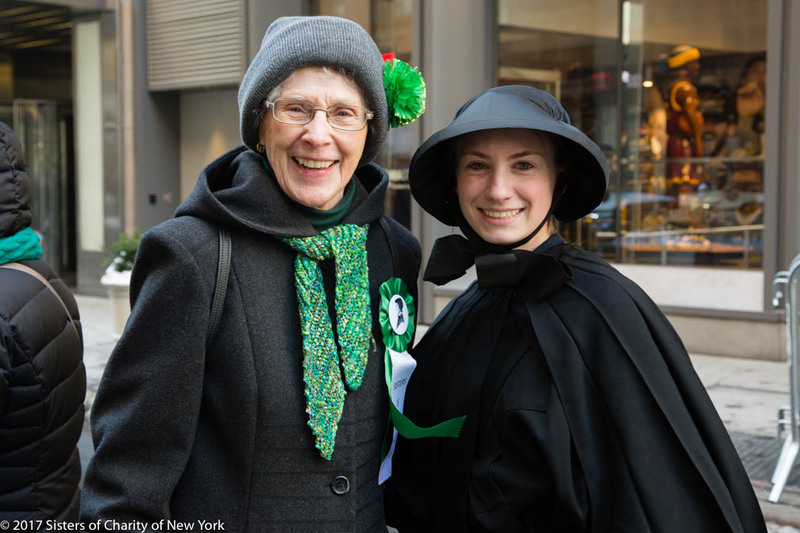 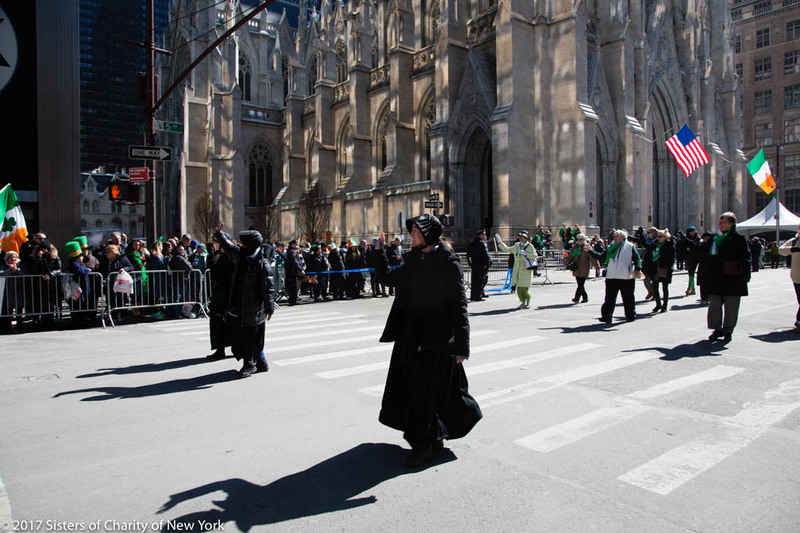 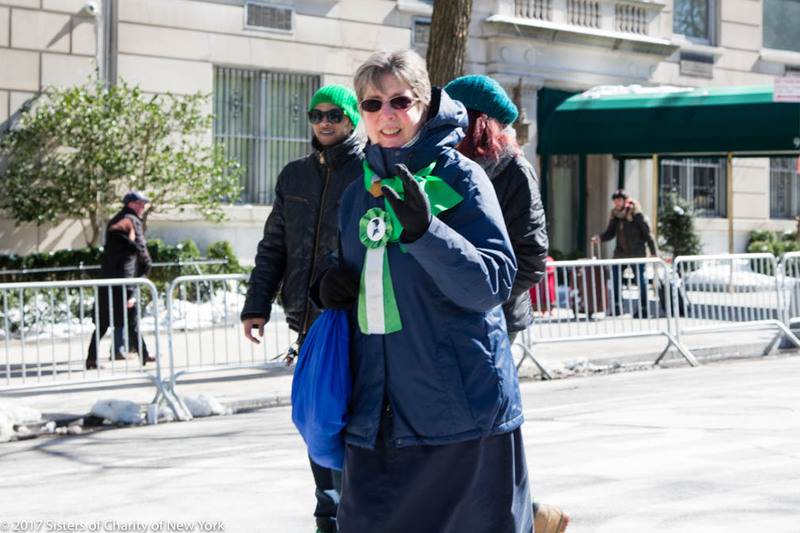 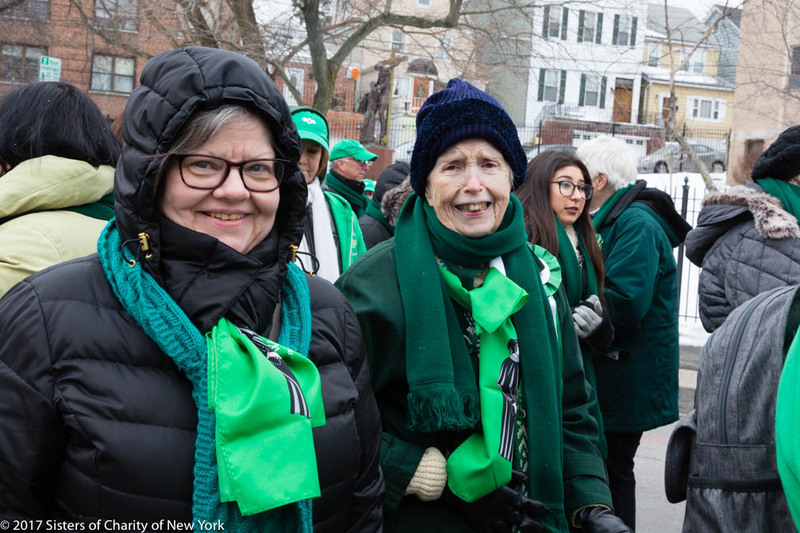 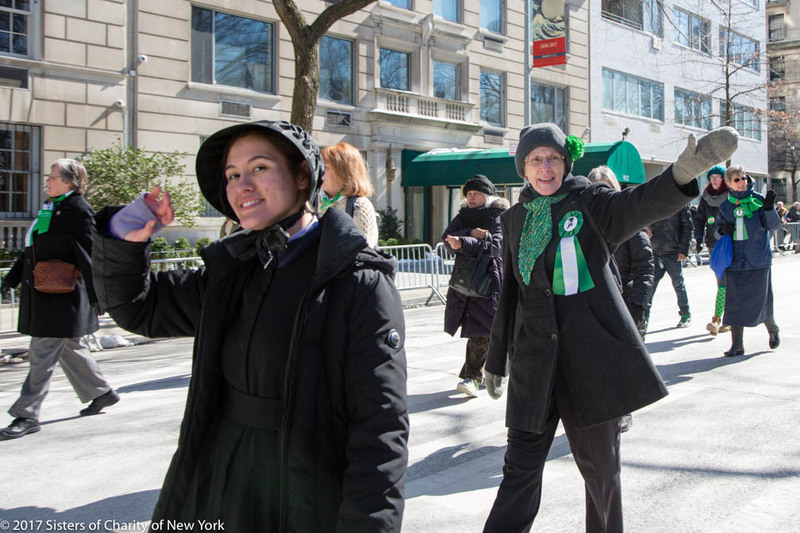 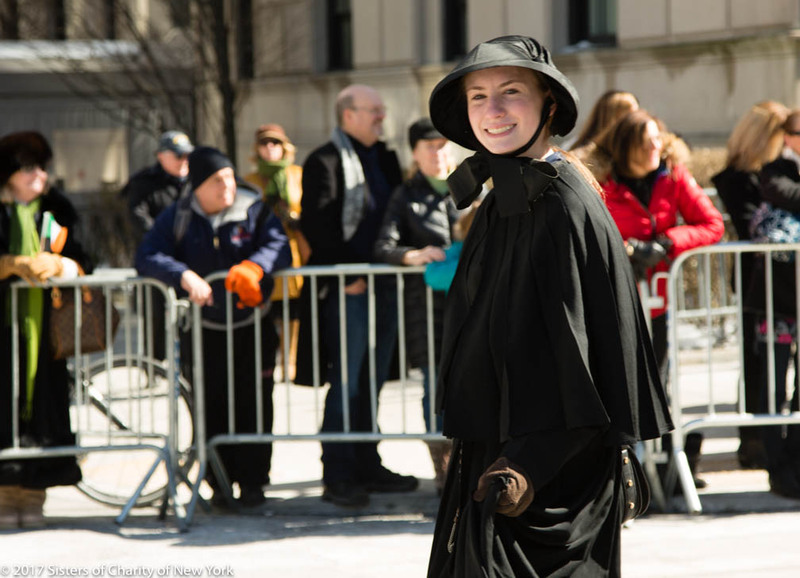 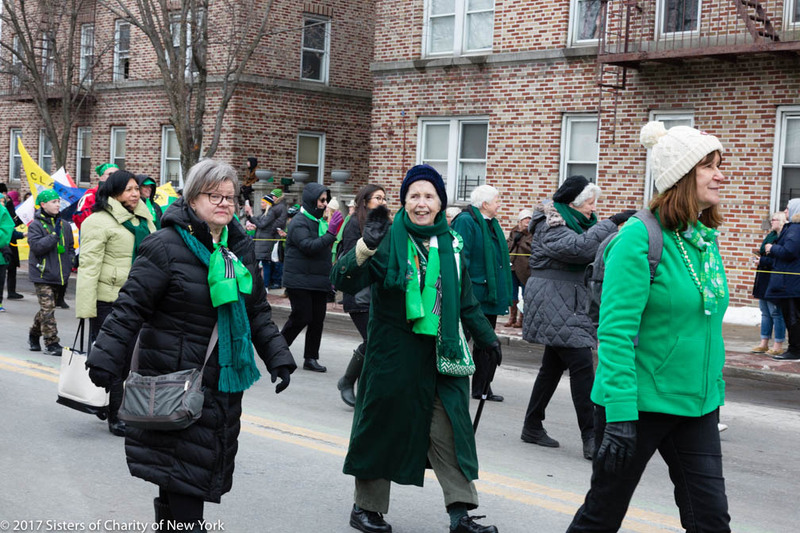 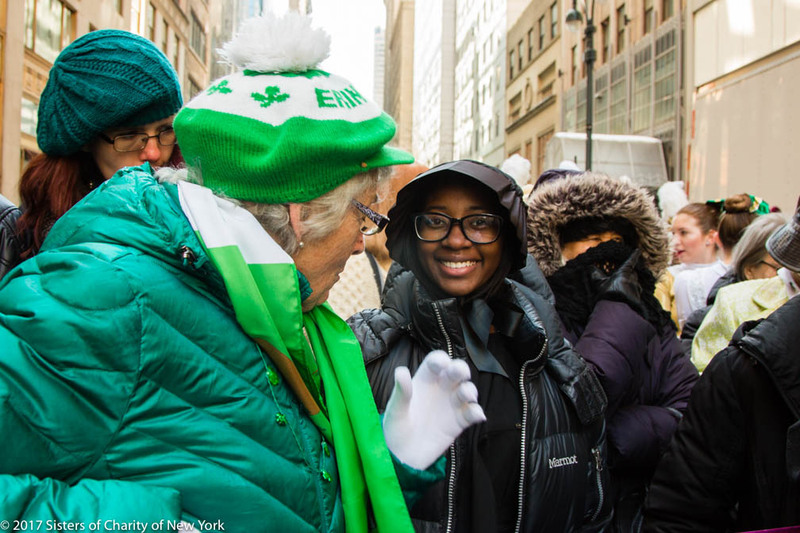 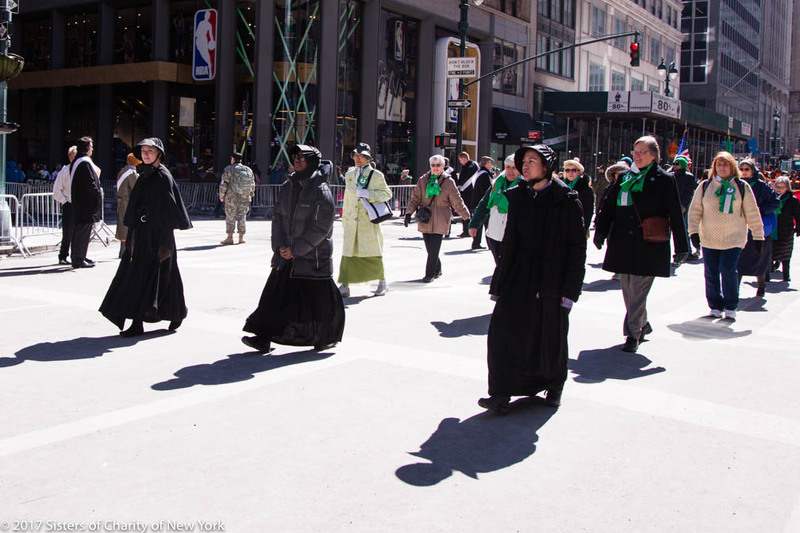 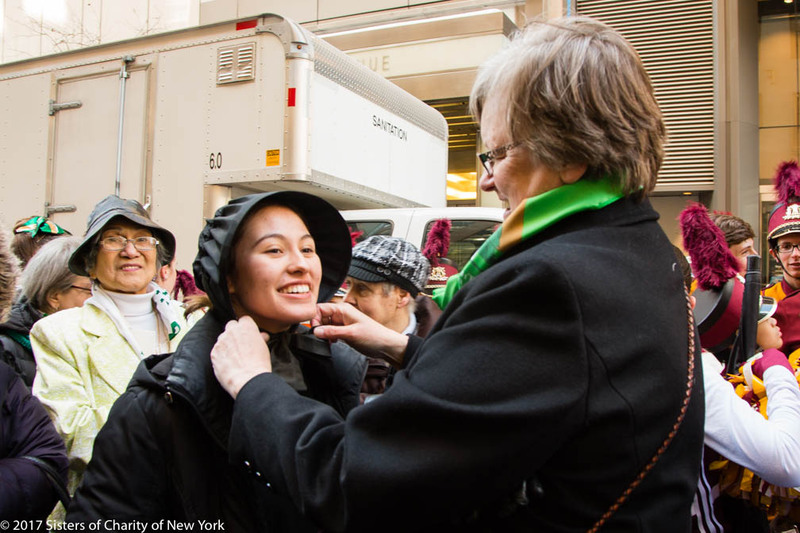 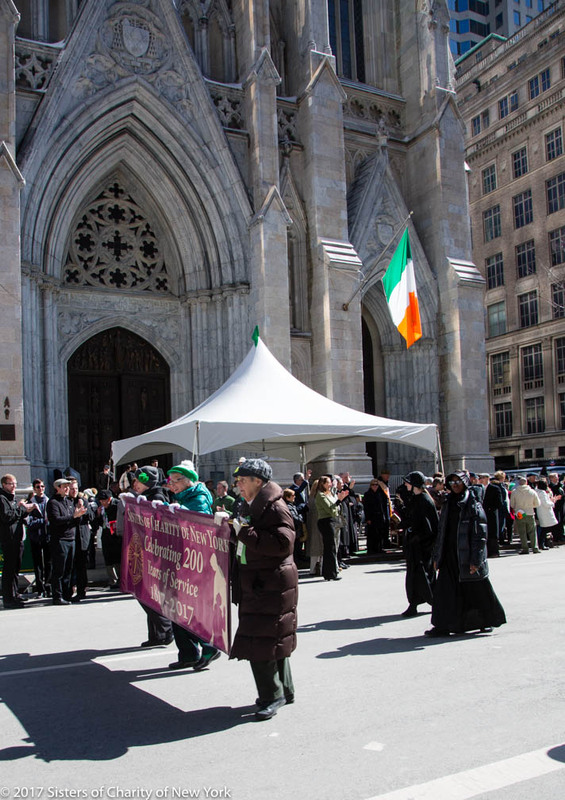 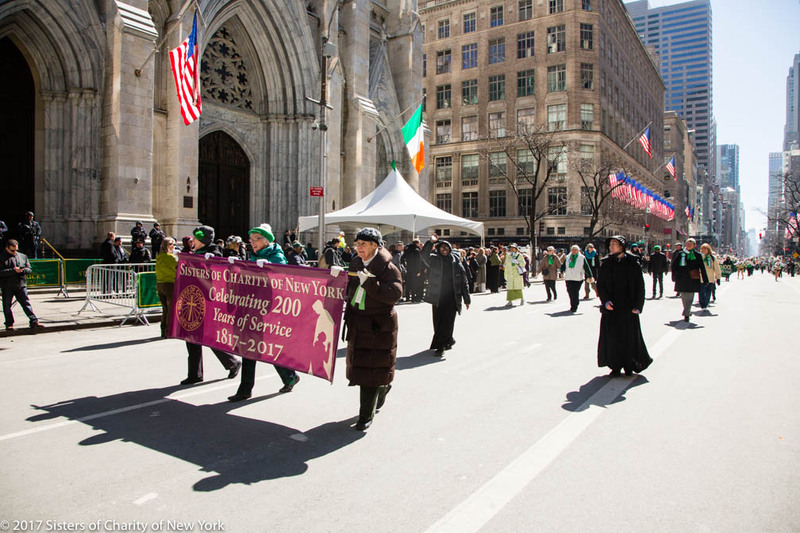 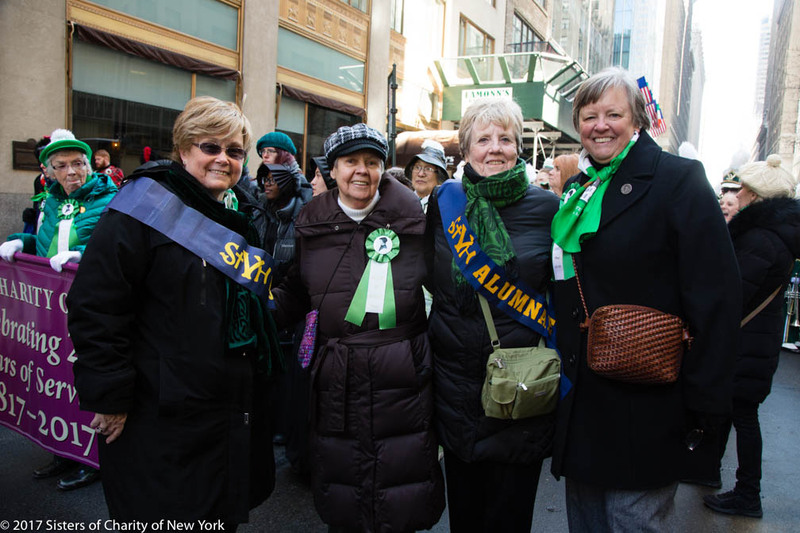 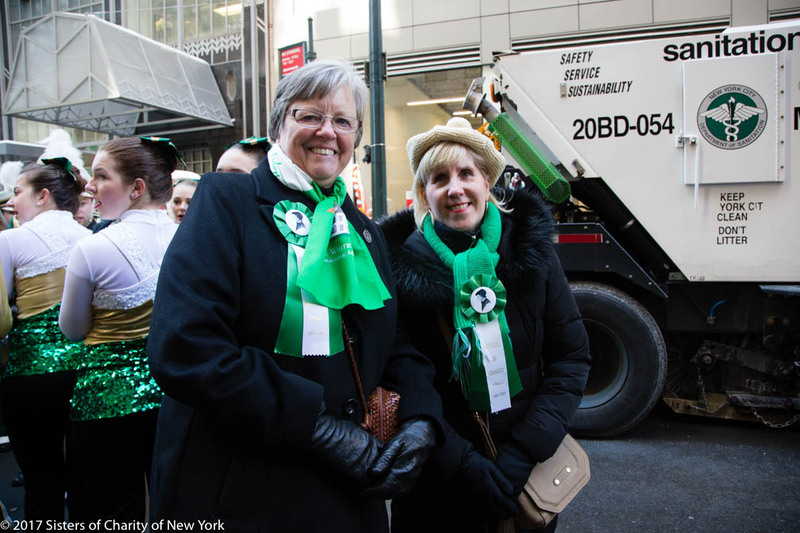 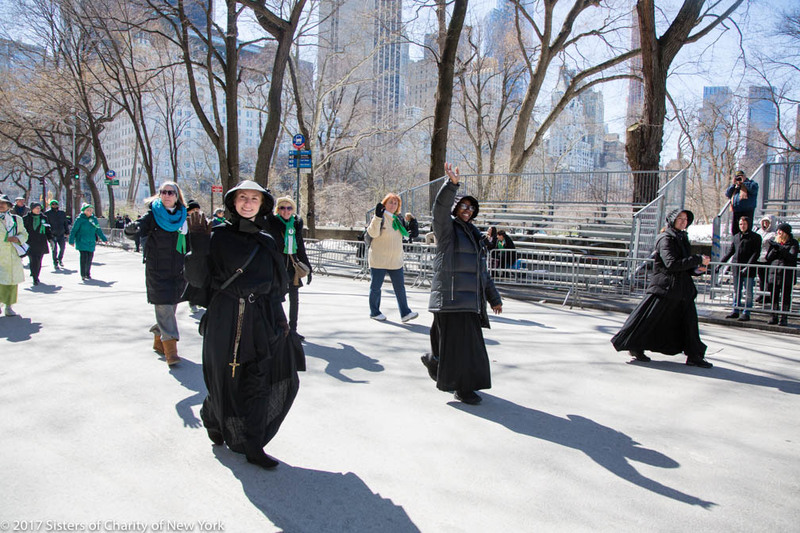 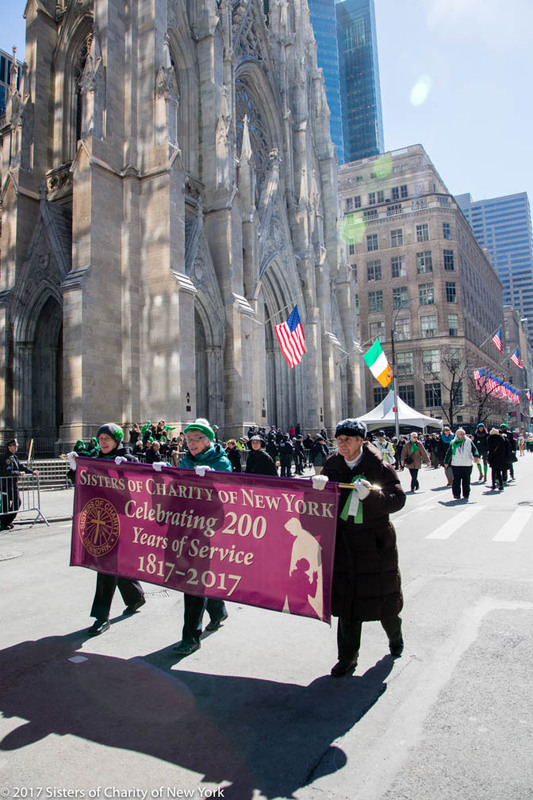 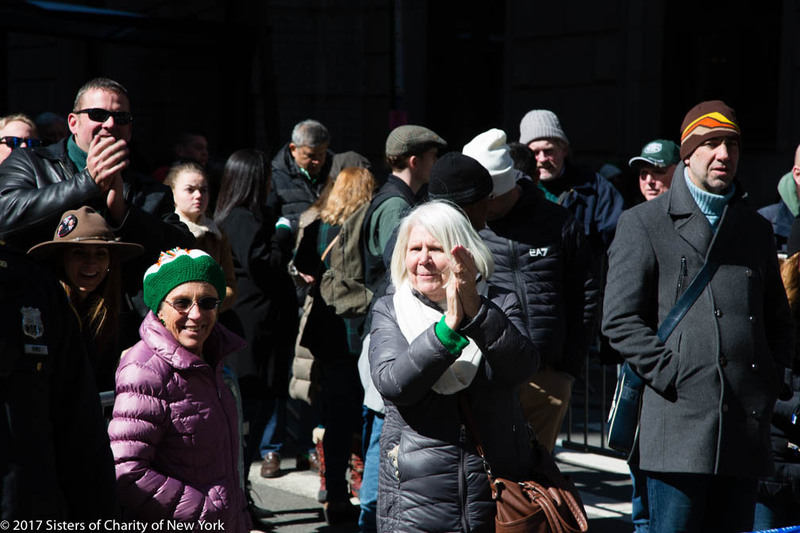 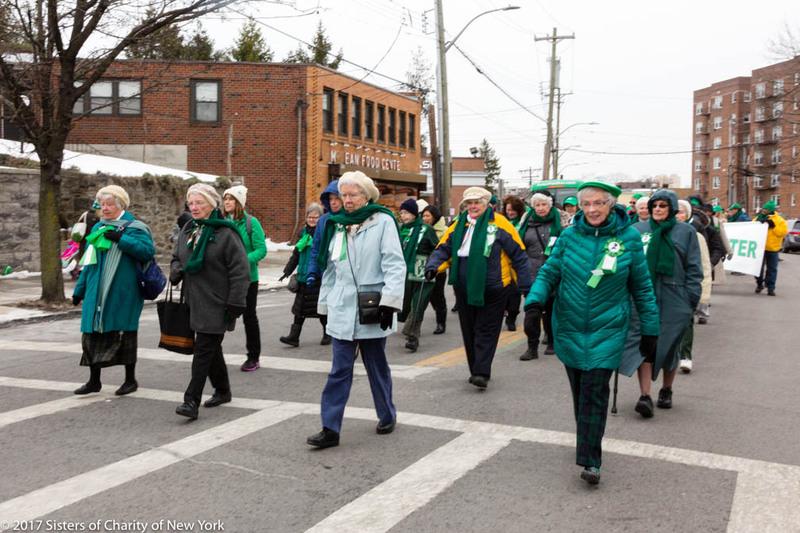 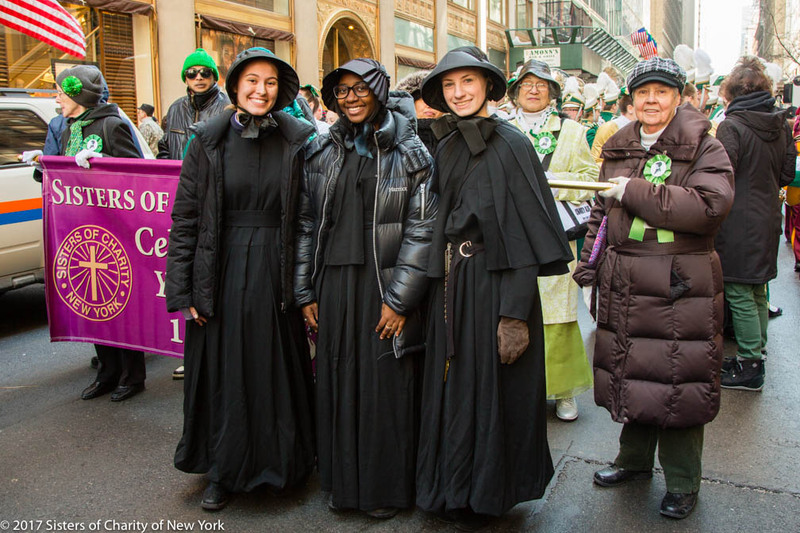 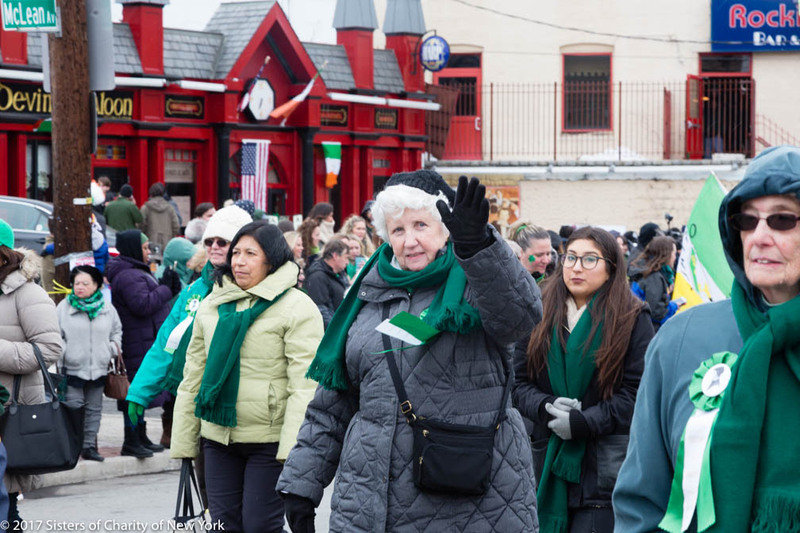 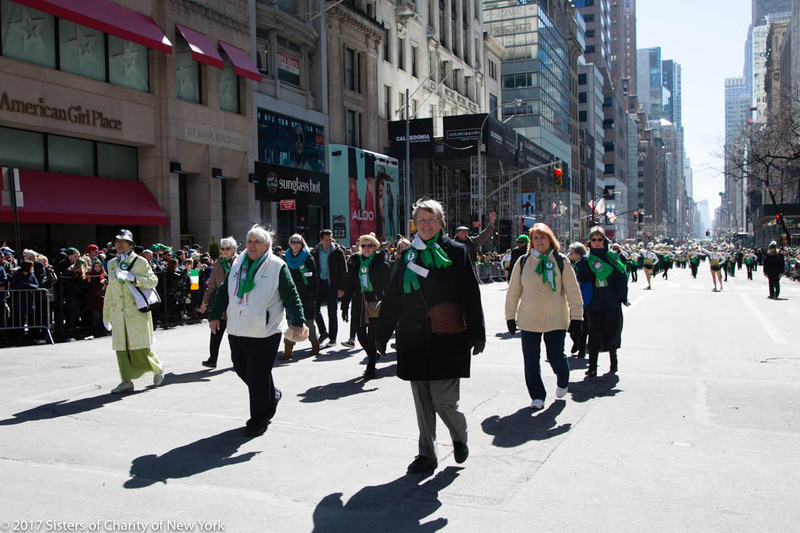 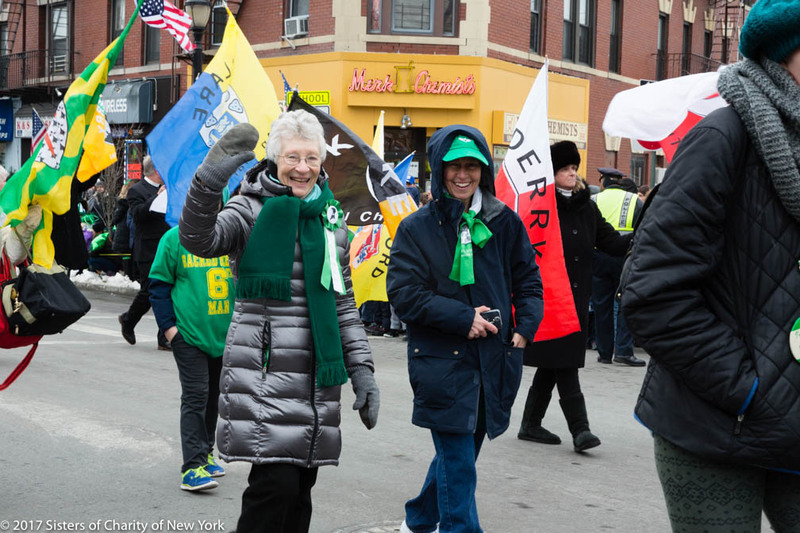 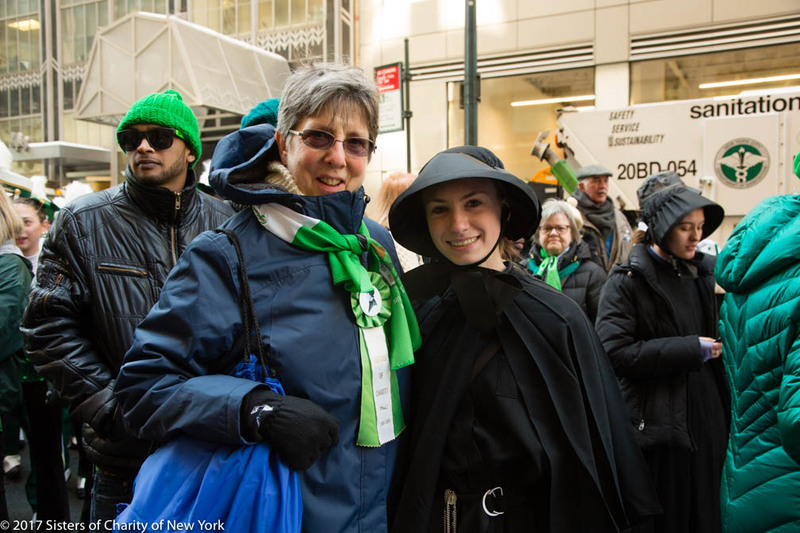 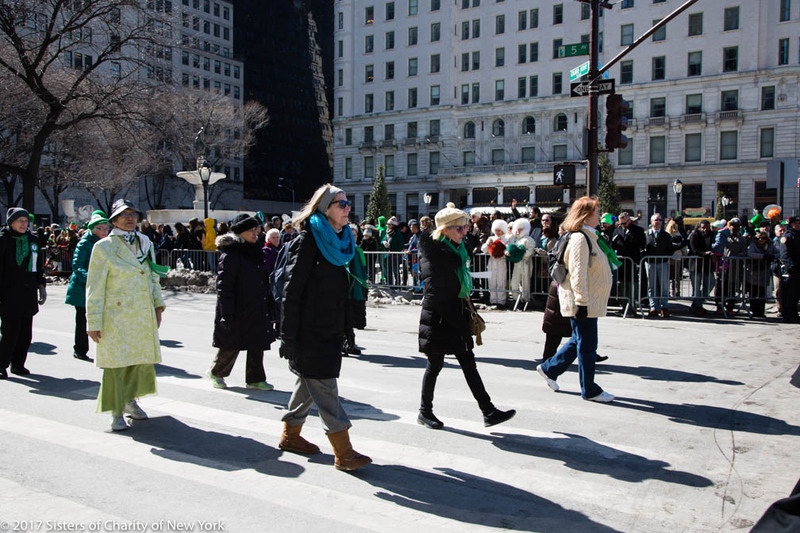 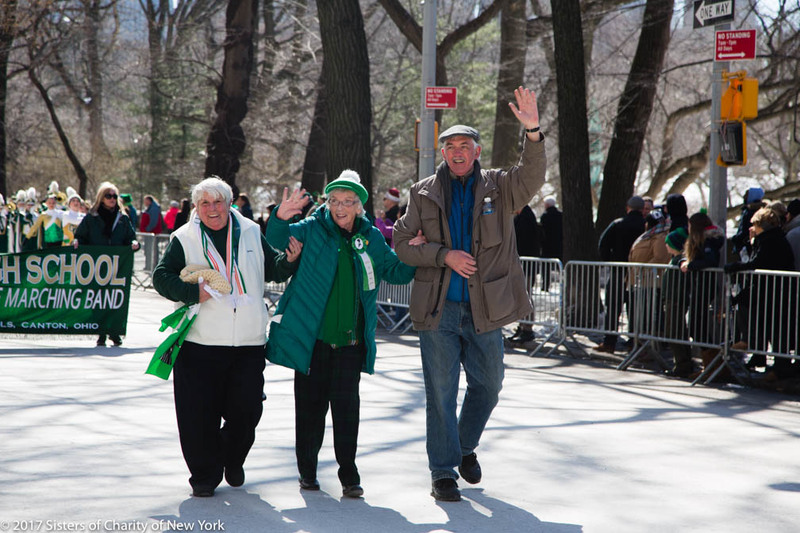 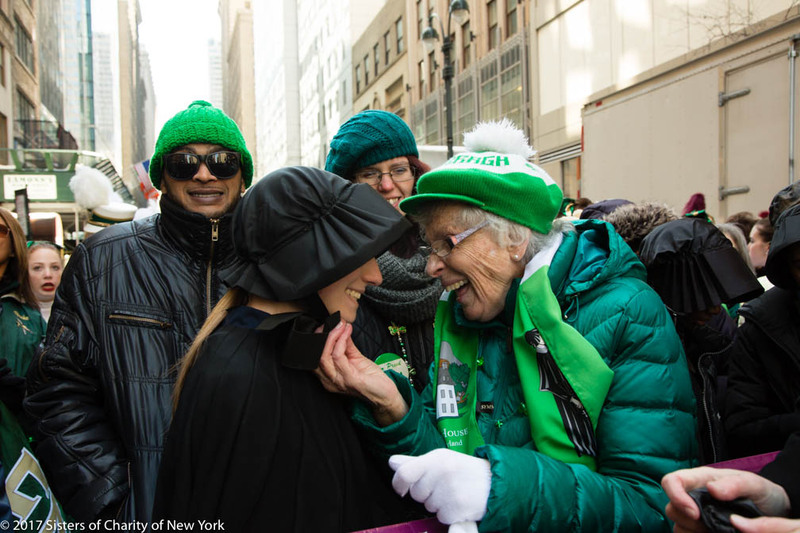 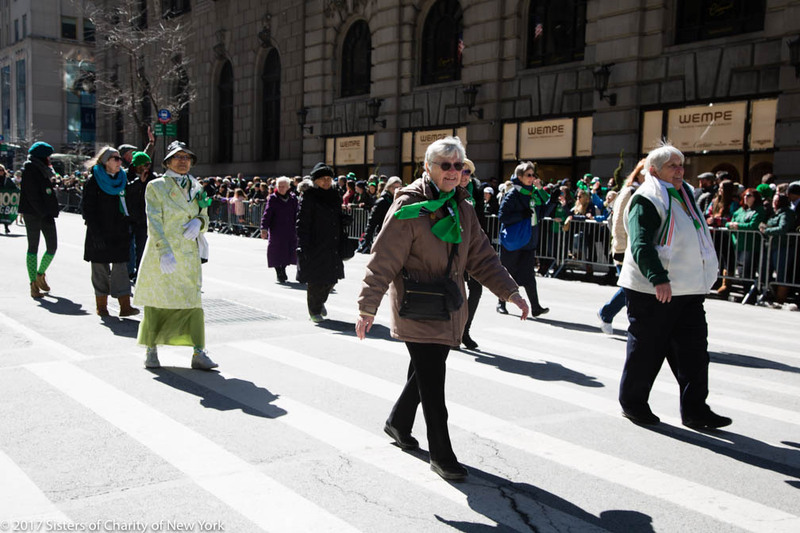 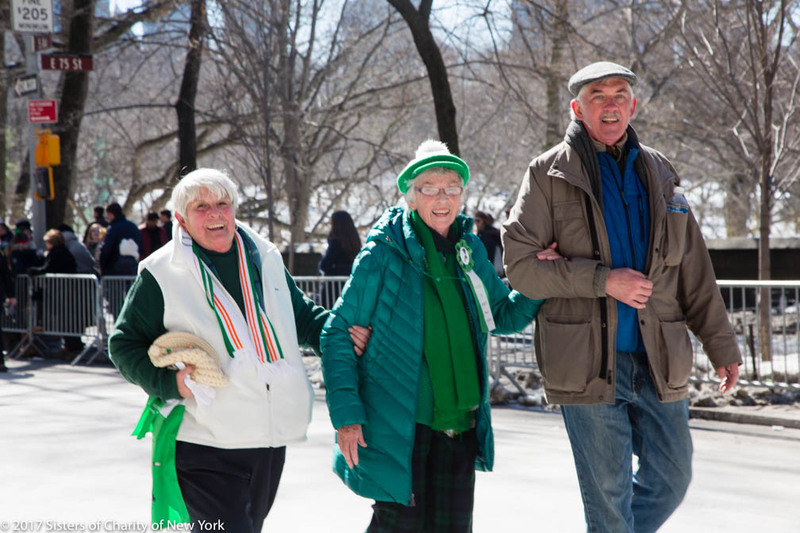 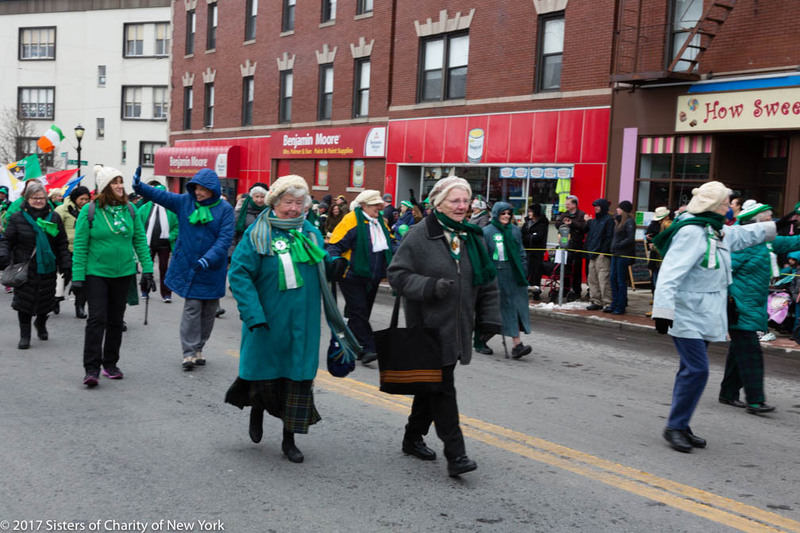 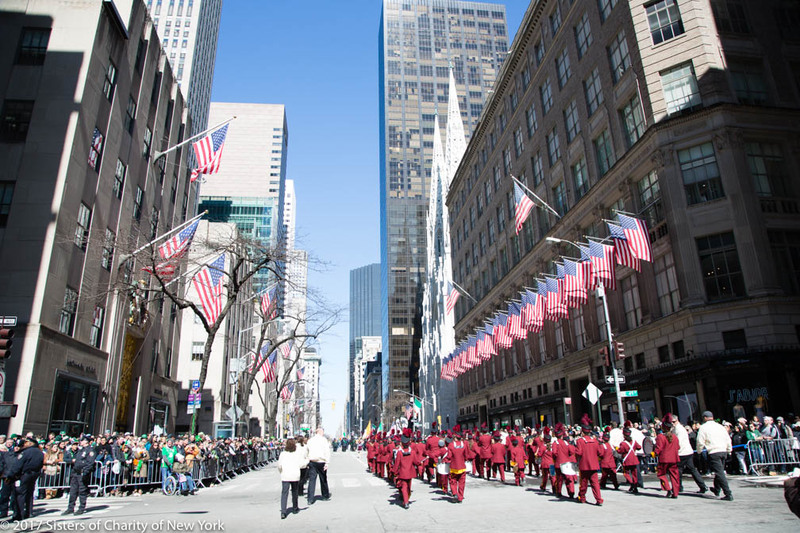 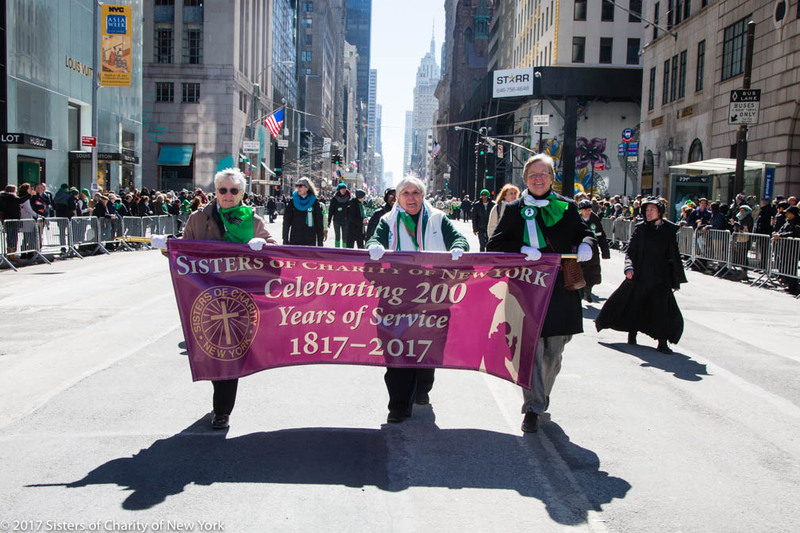 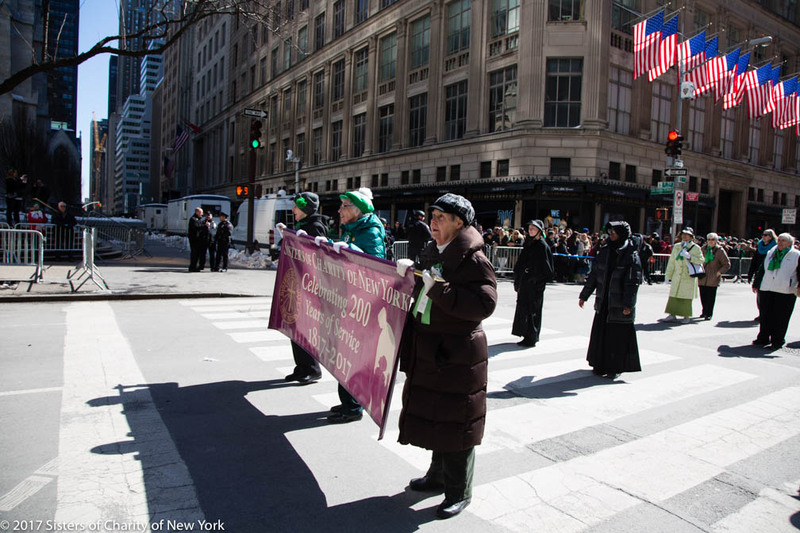 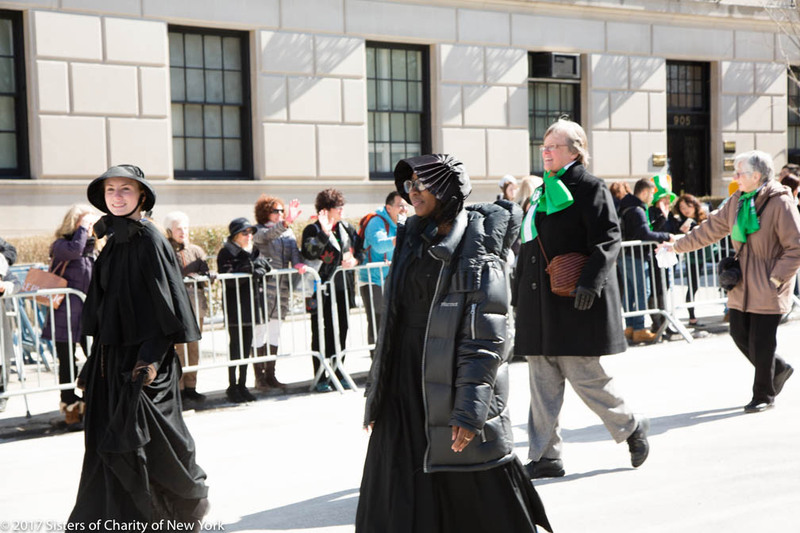 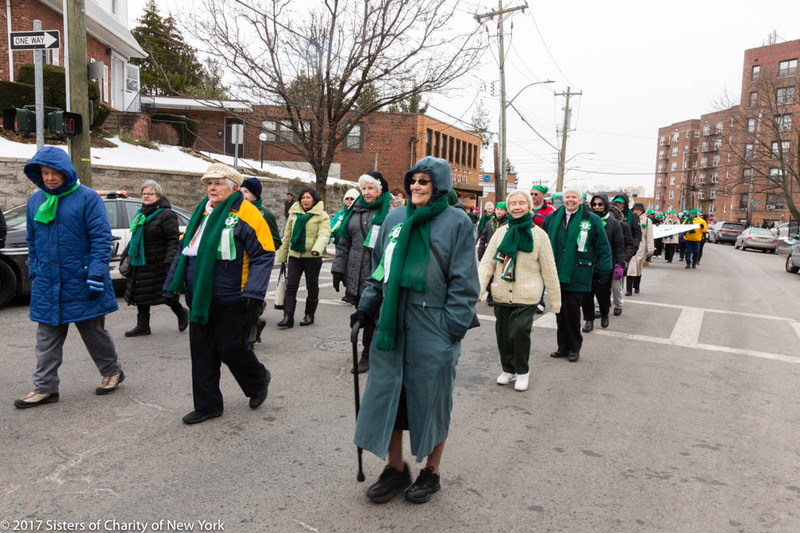 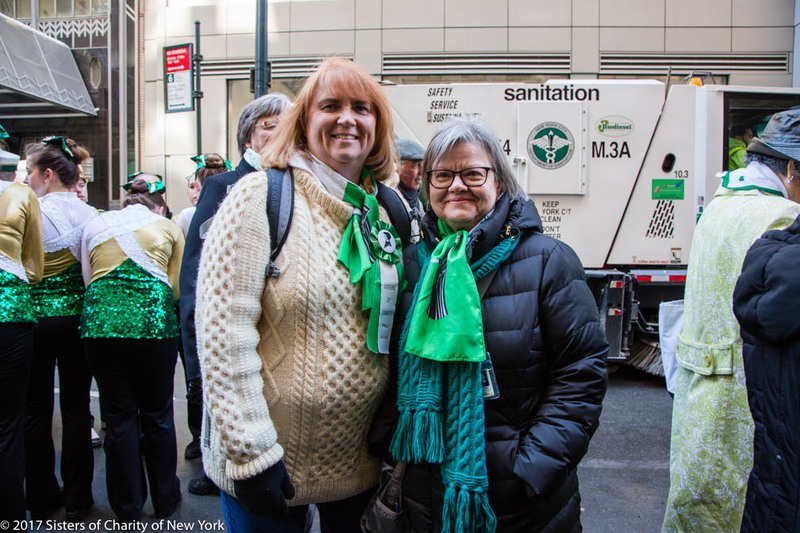 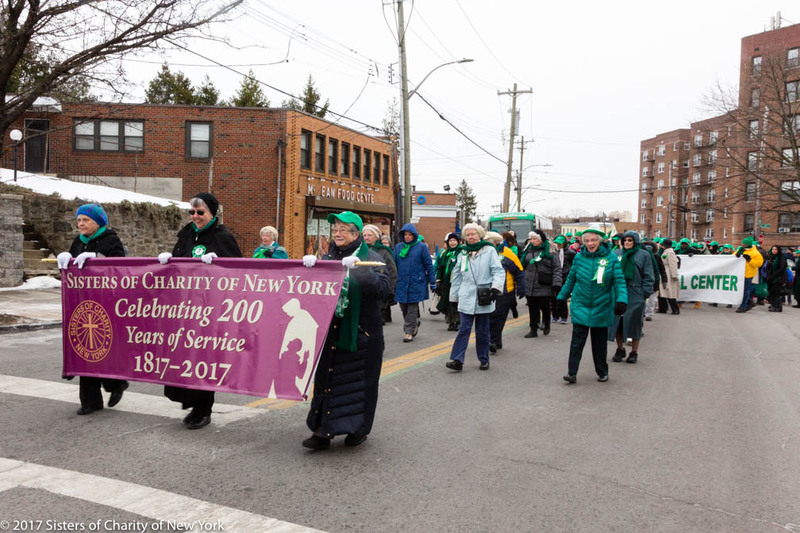 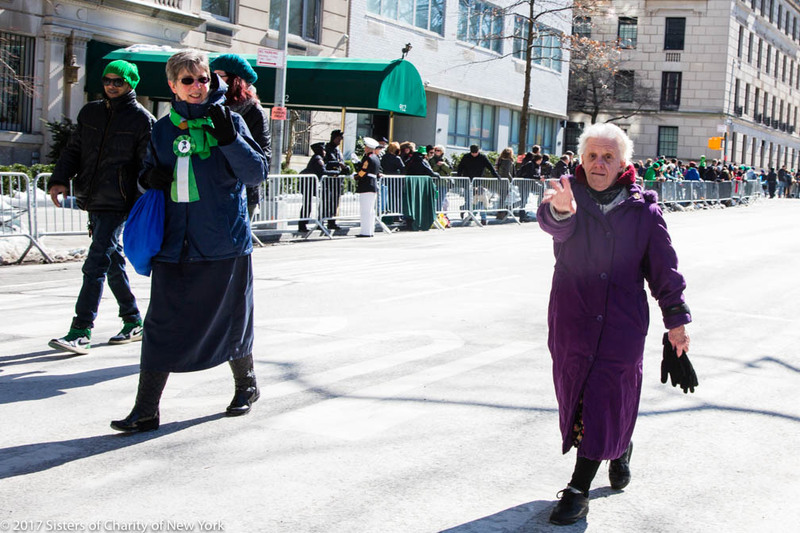 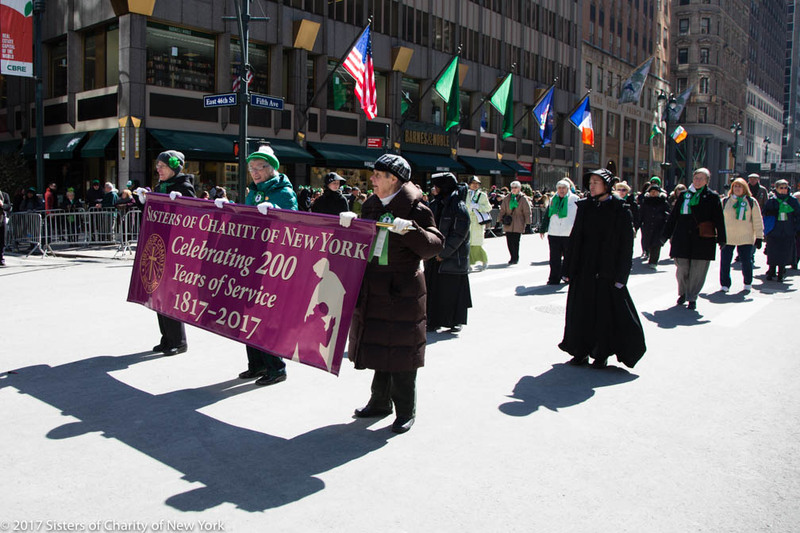 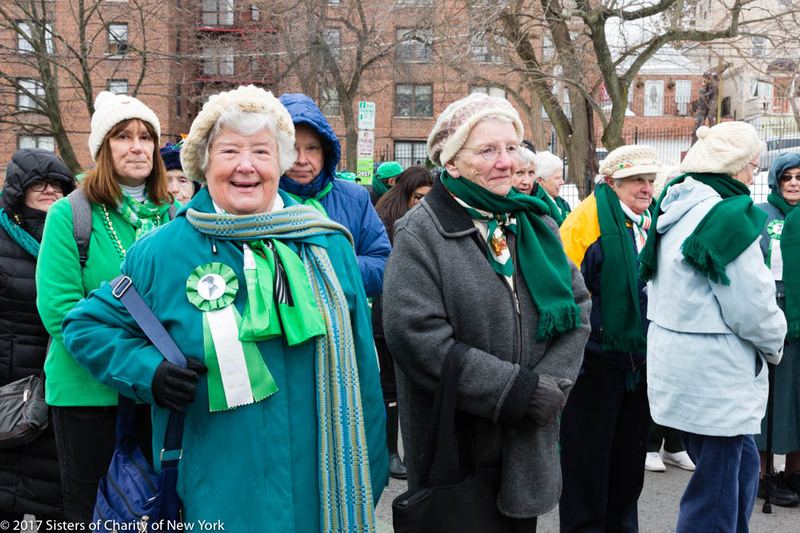 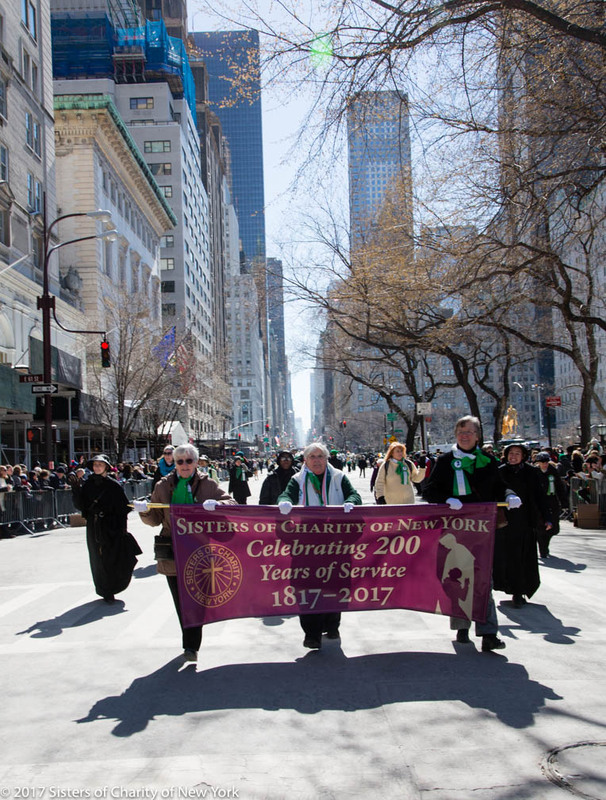 Accompanied by three young women wearing the traditional Sisters of Charity habit, the Congregation marched up Fifth Avenue at the Saint Patrick’s Day Parade on Friday, March 17th. 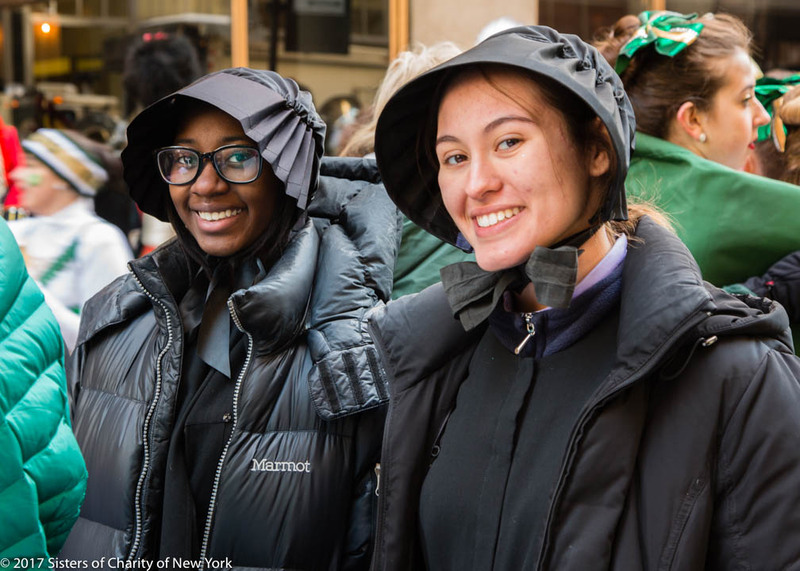 Jada Majors and Olivia Perez, juniors from Saint Raymond Academy for Girls in the Bronx, and Nicole Quarento, a junior at the College of Mount Saint Vincent, were “Sisters for the day,” representing the three Sisters sent to New York in 1817 by Elizabeth Ann Seton. 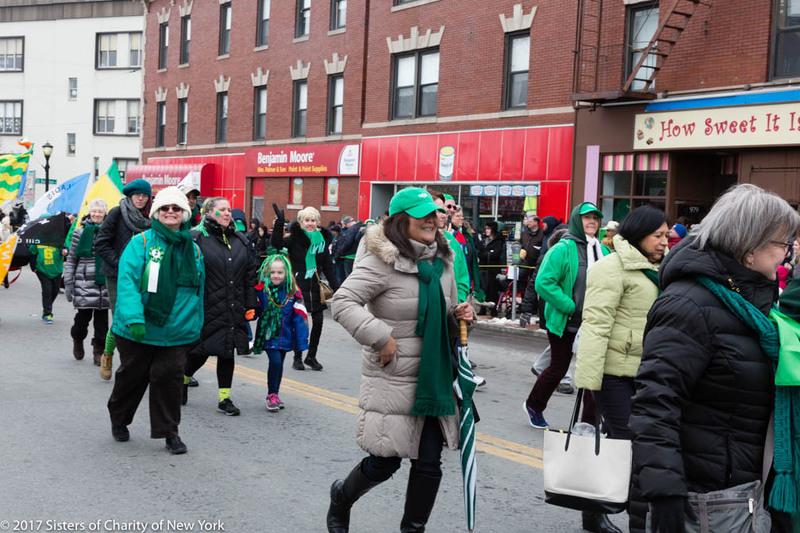 The response from parade watchers was enthusiastic, with many shouting out the names of the schools they attended or the hospitals in which they were born. 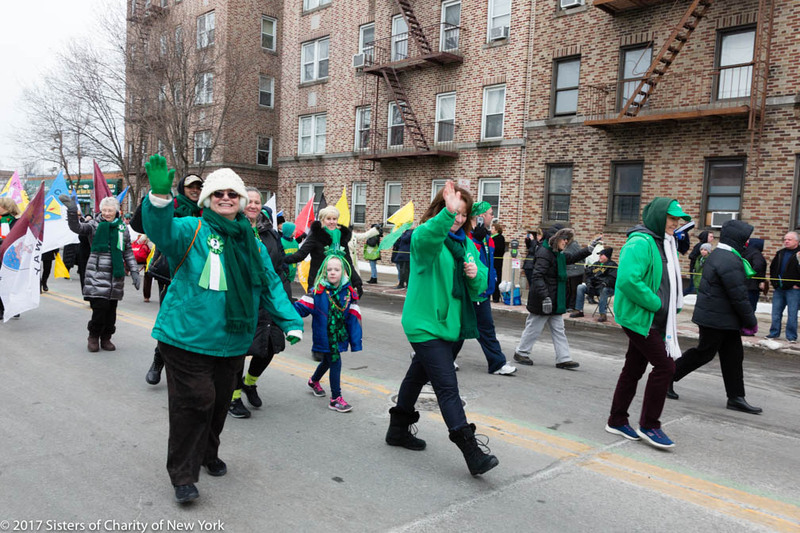 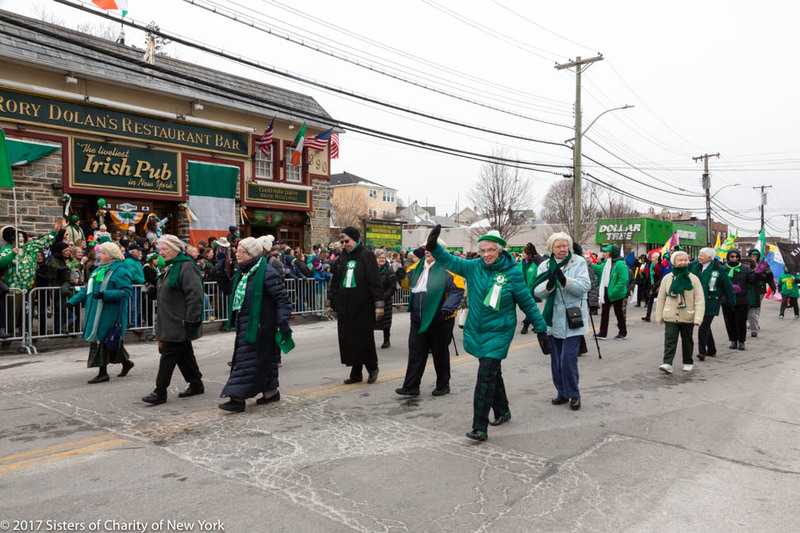 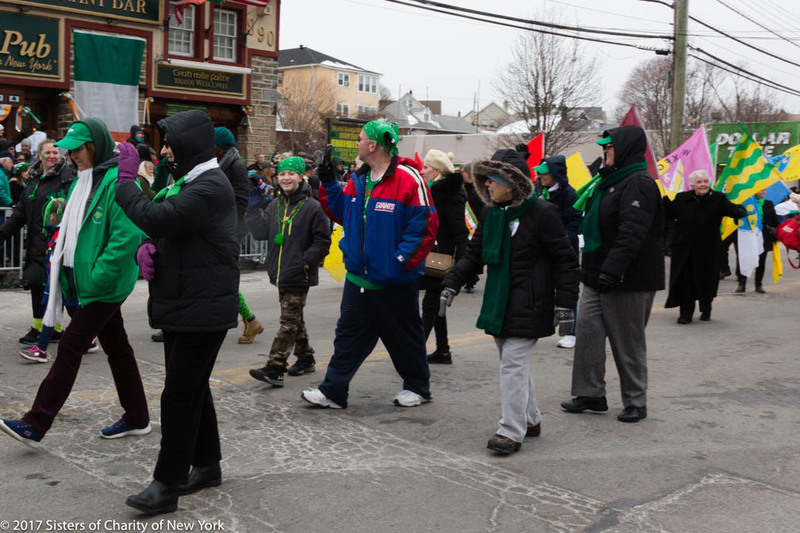 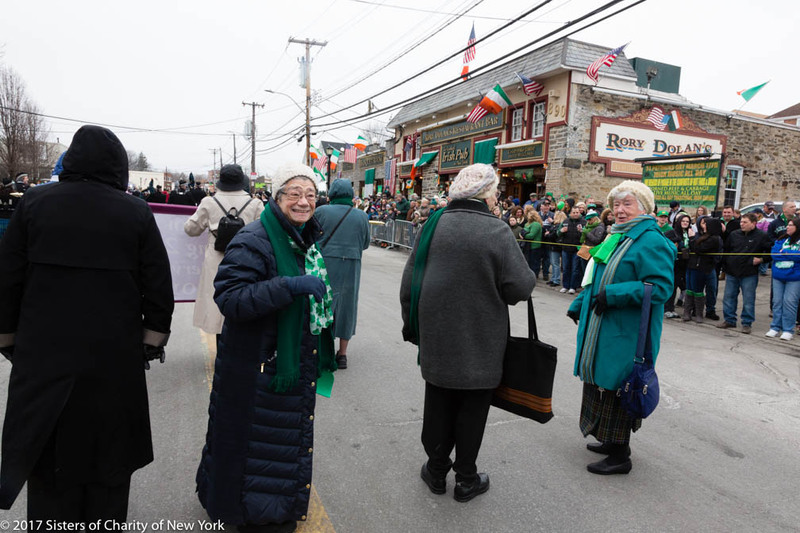 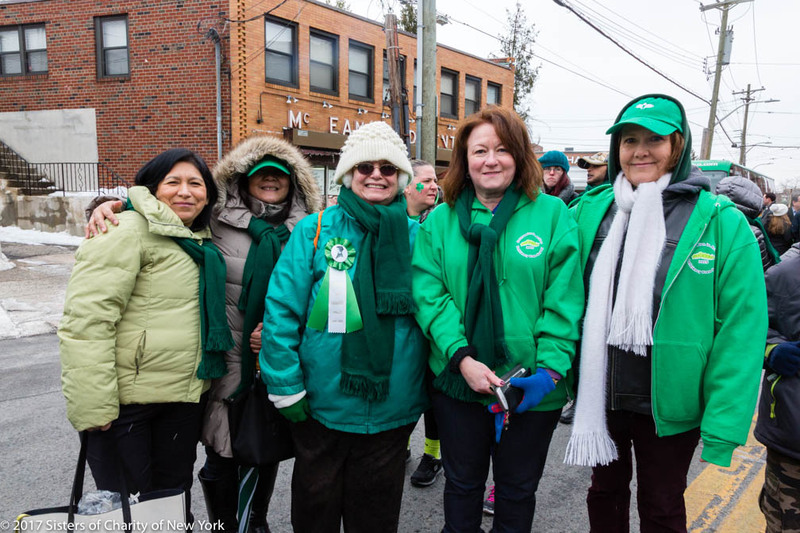 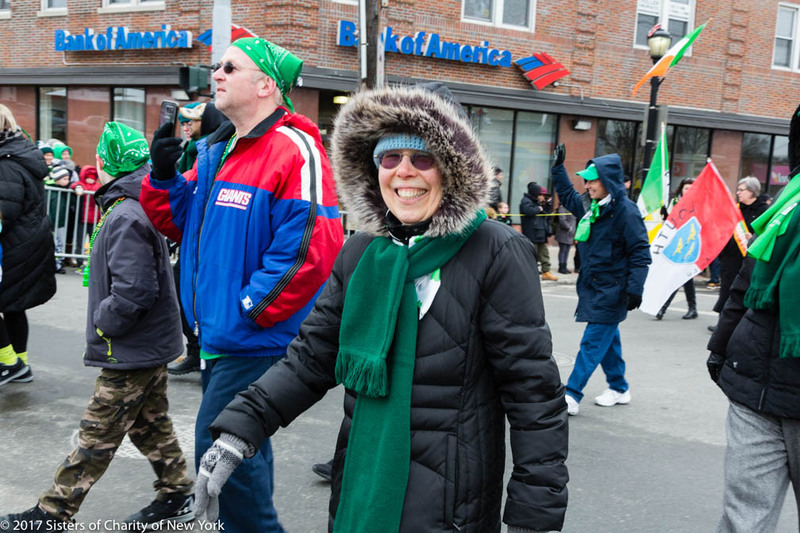 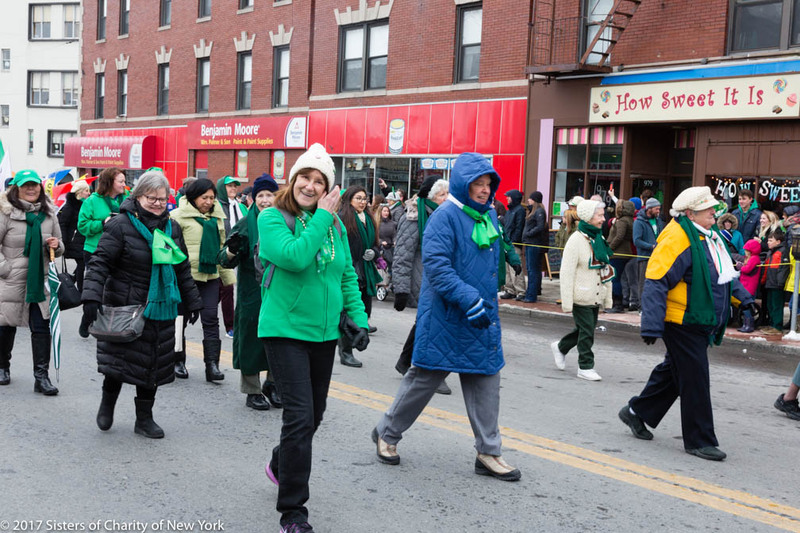 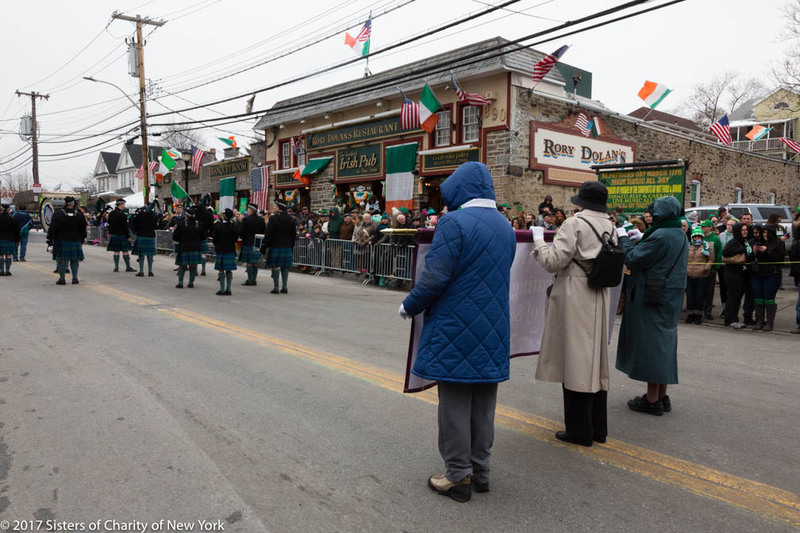 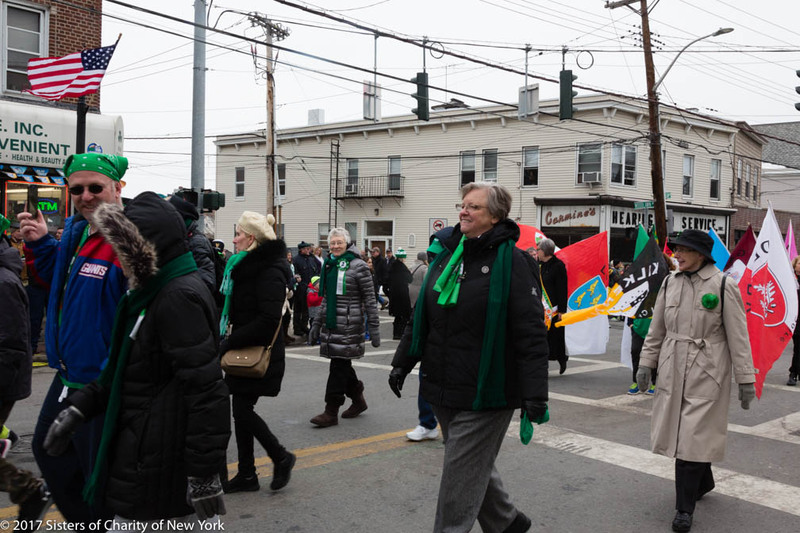 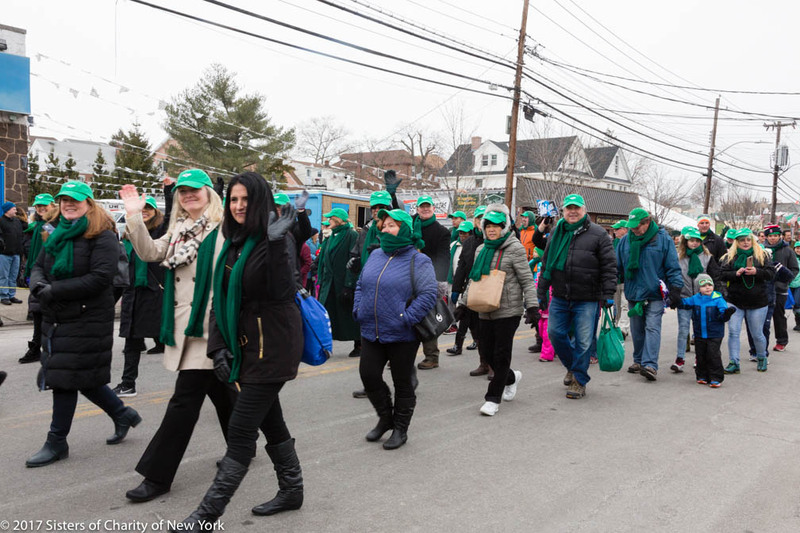 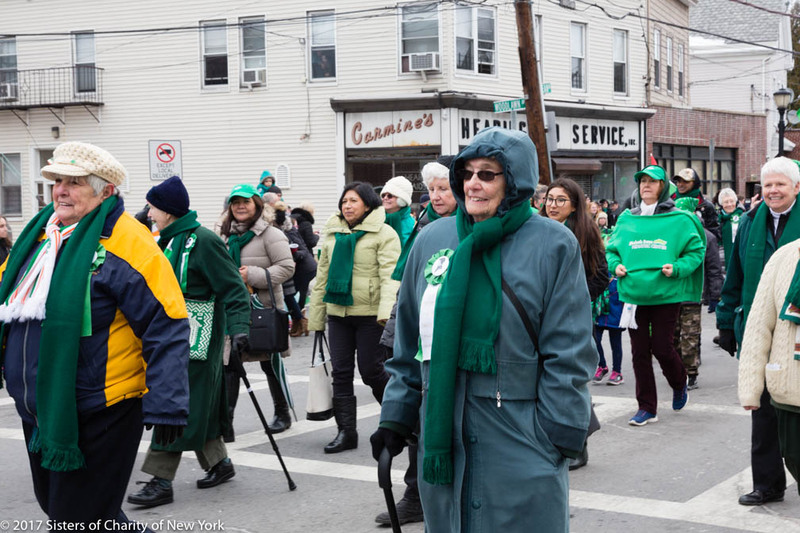 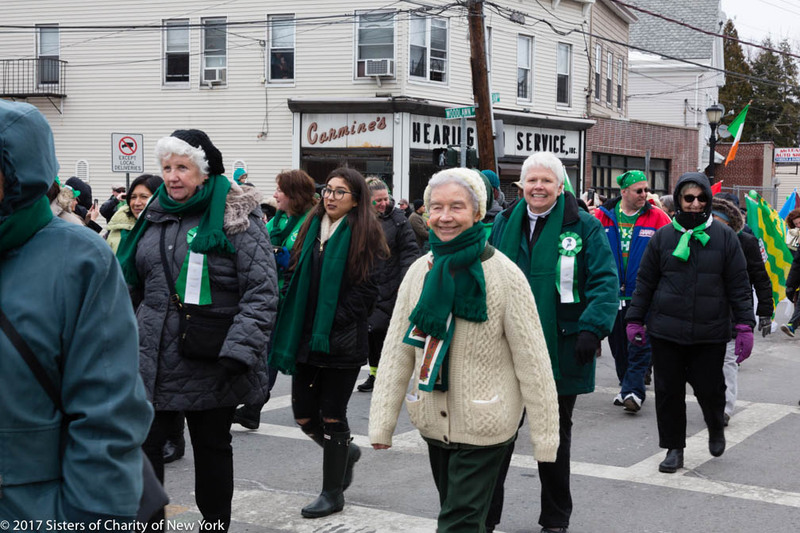 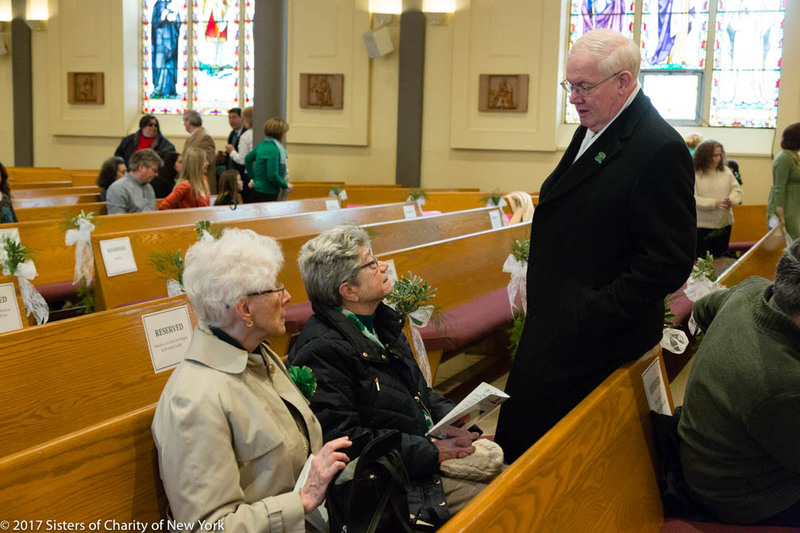 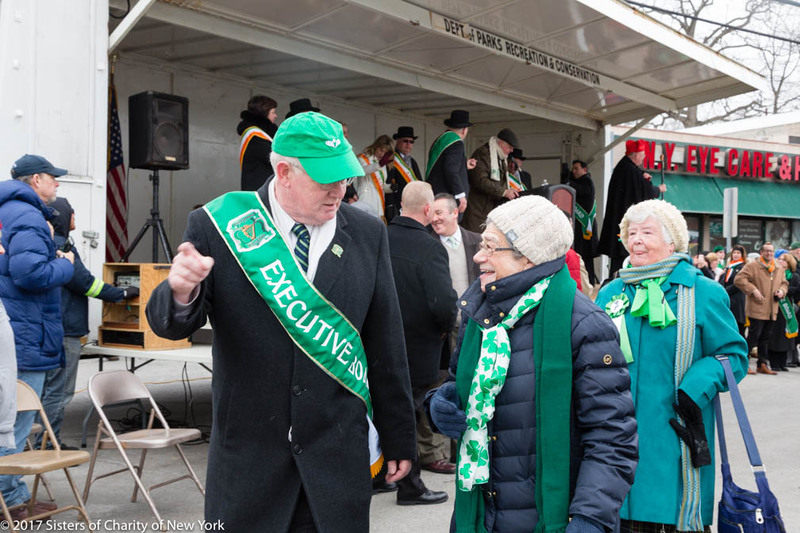 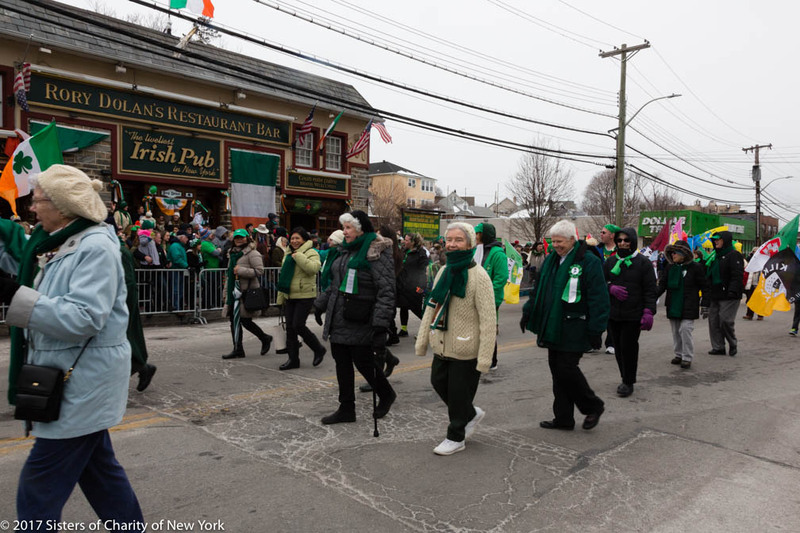 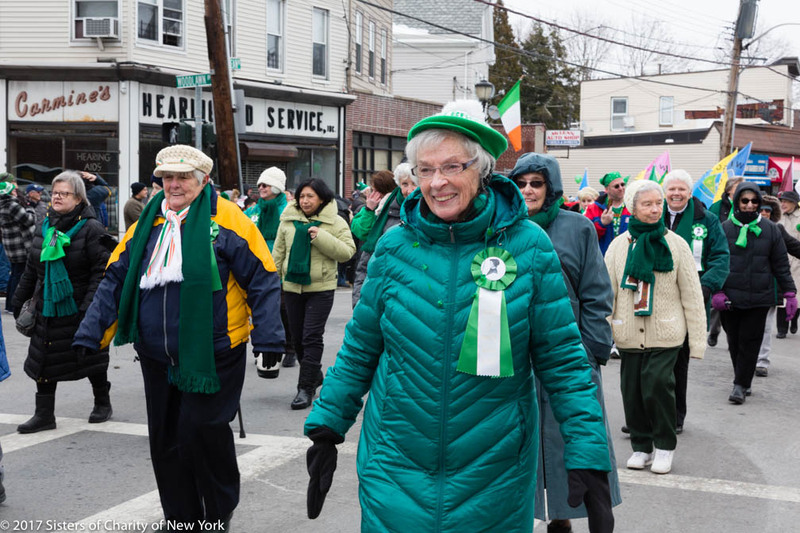 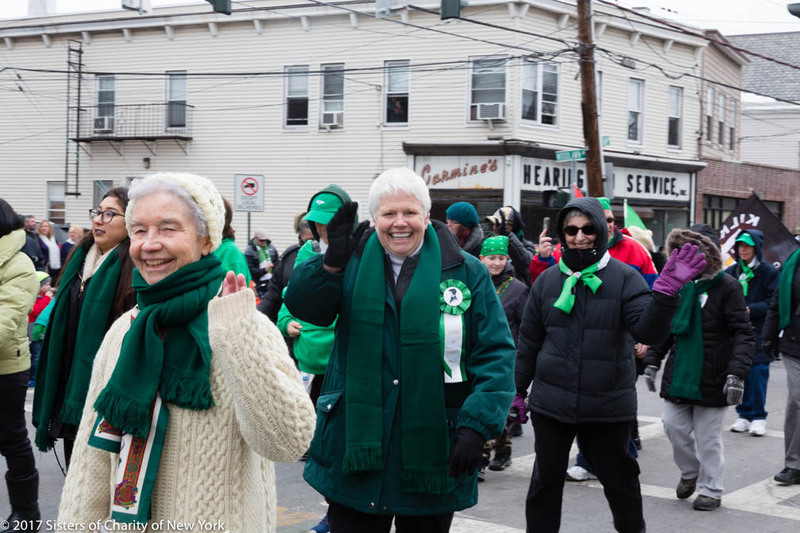 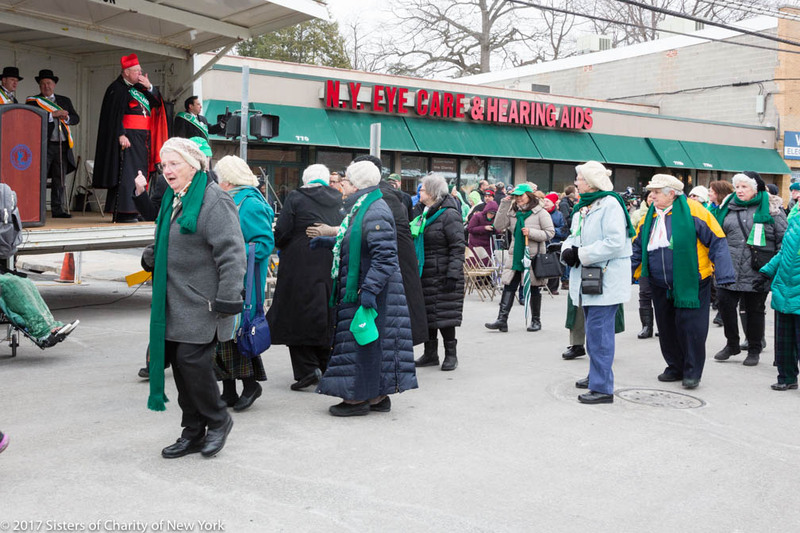 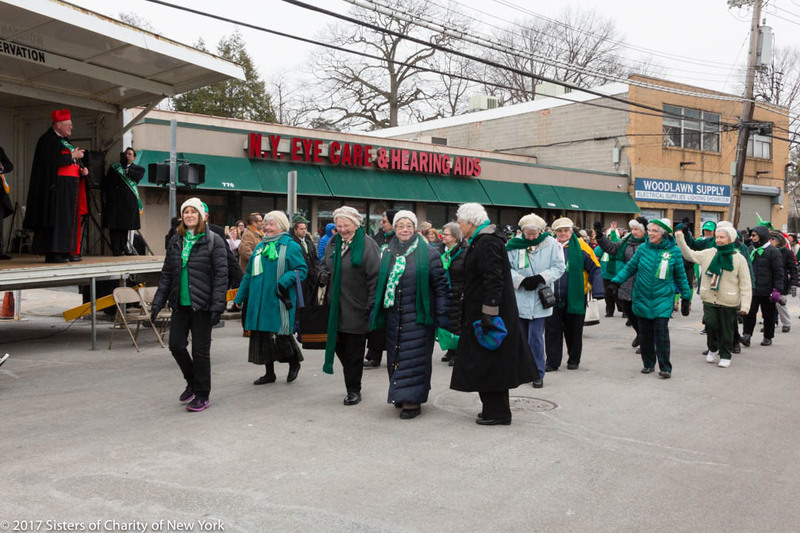 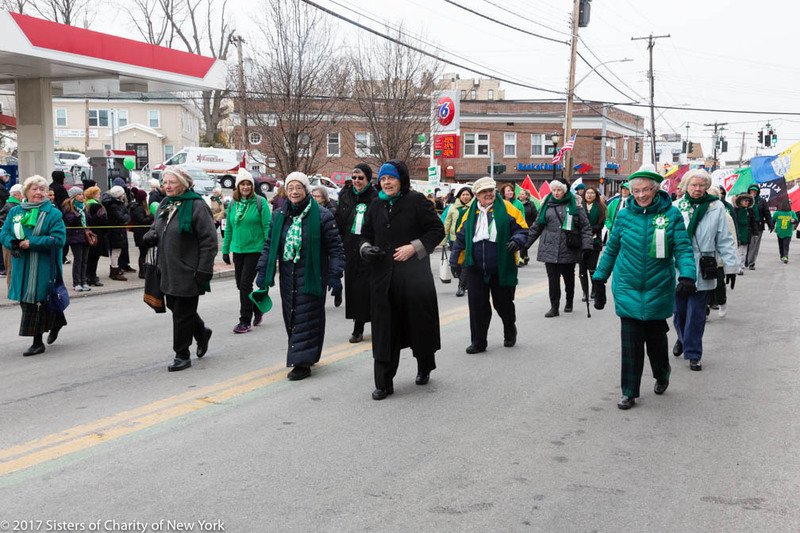 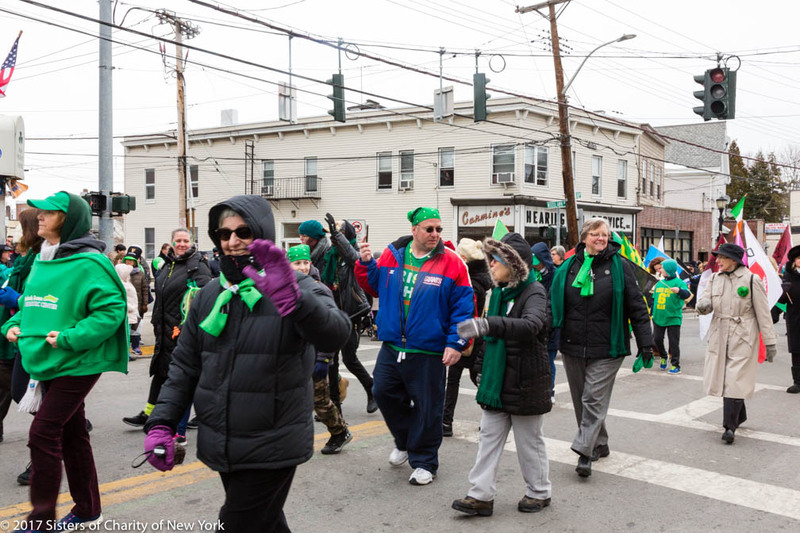 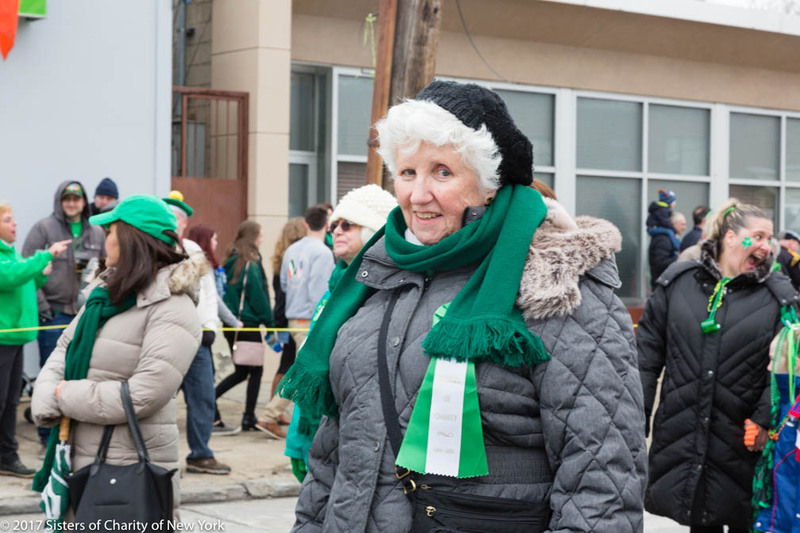 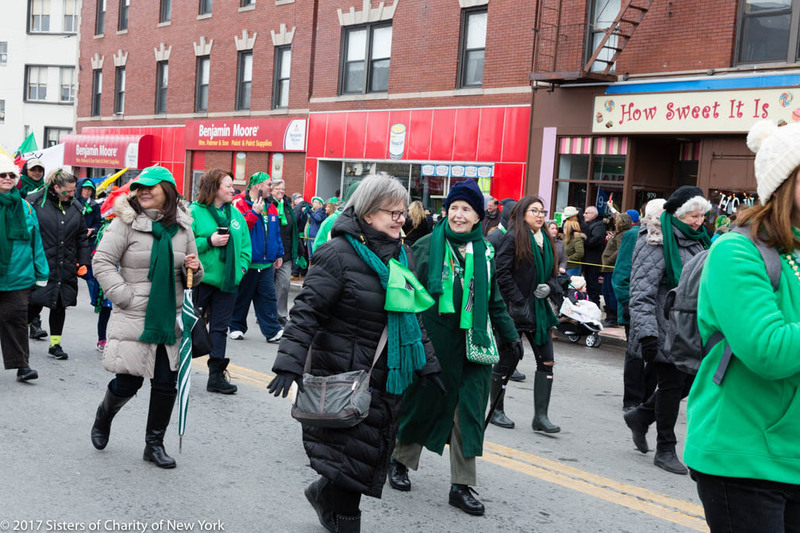 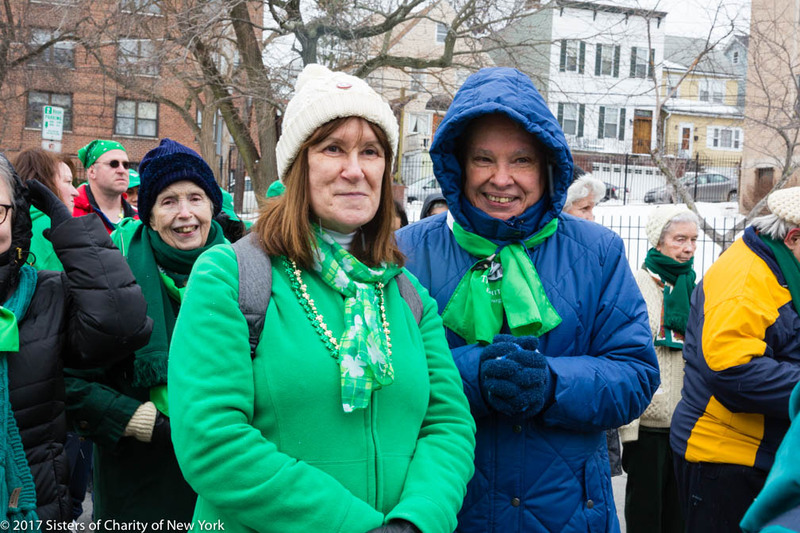 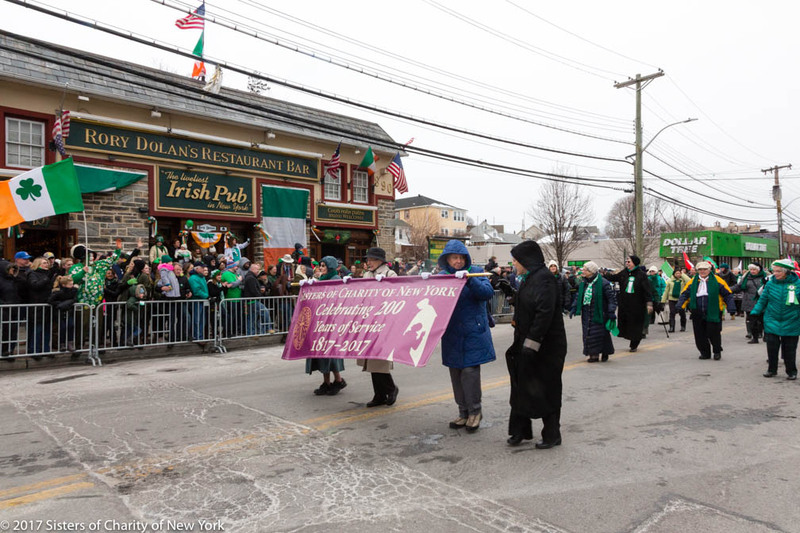 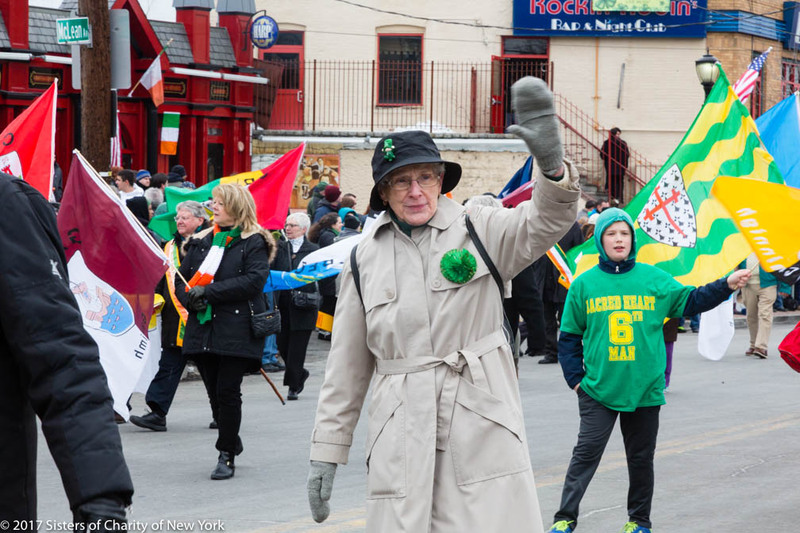 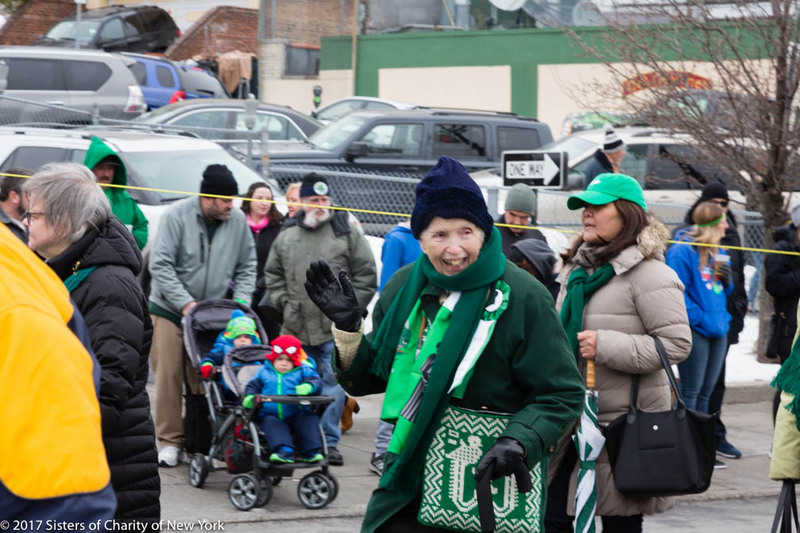 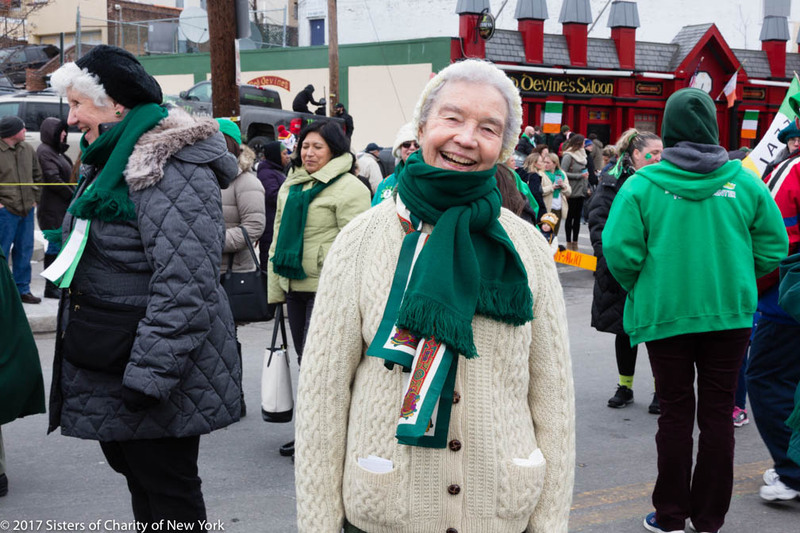 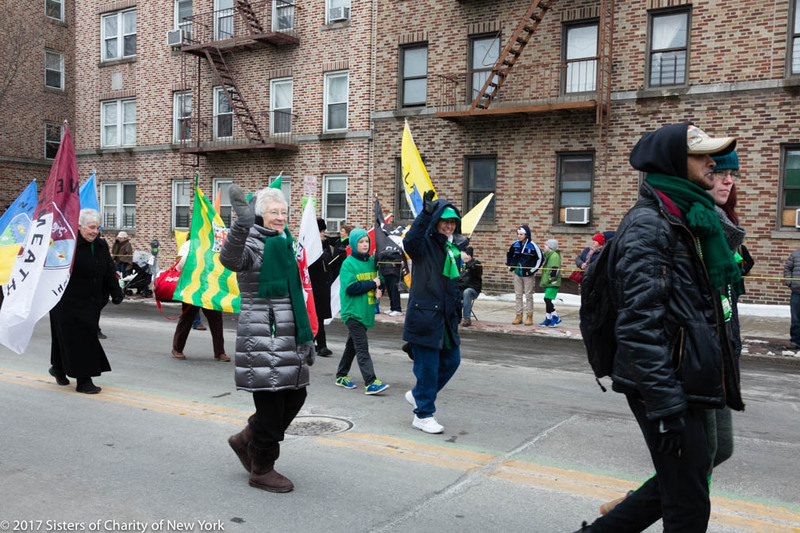 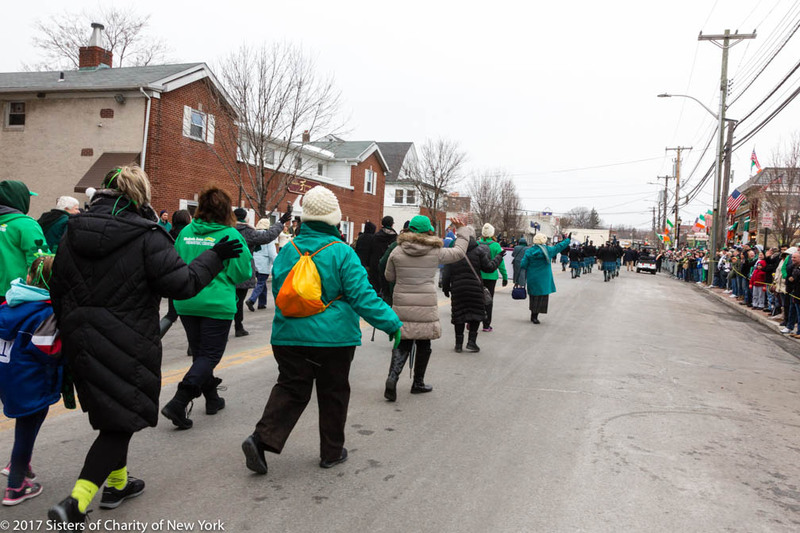 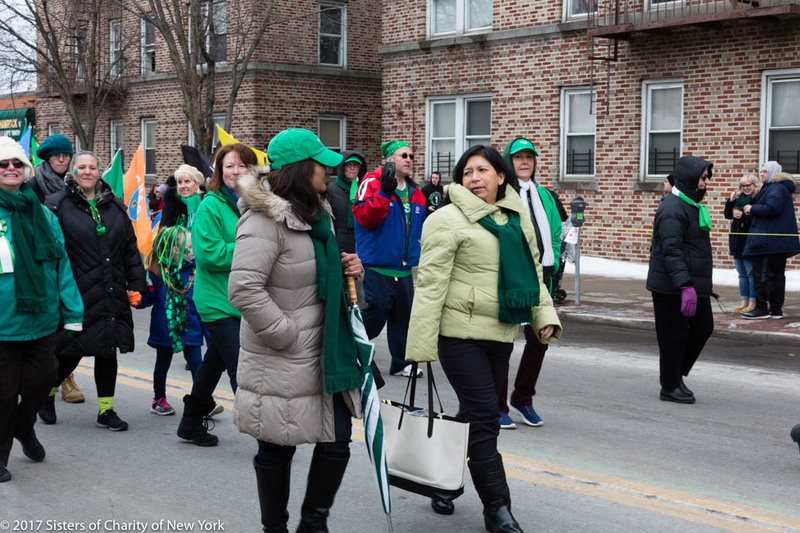 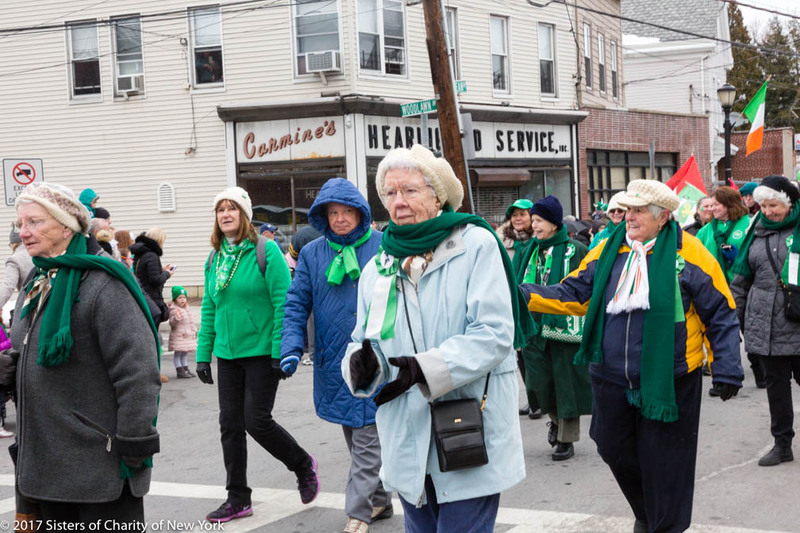 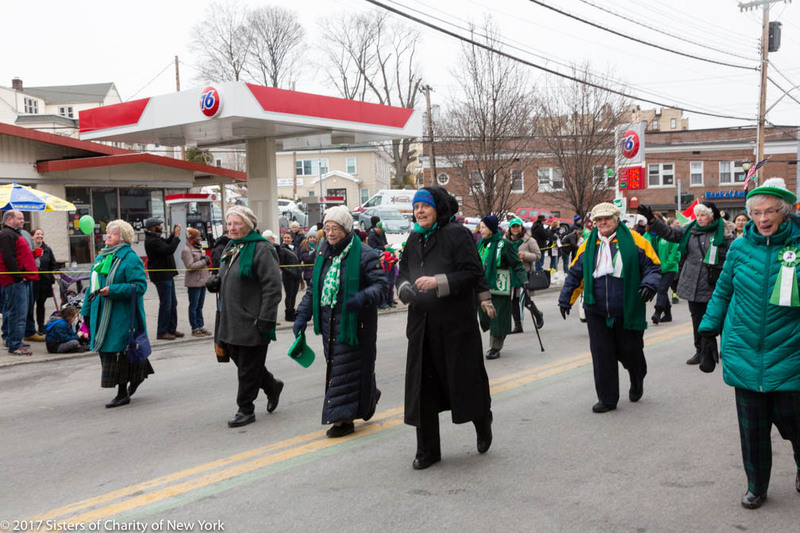 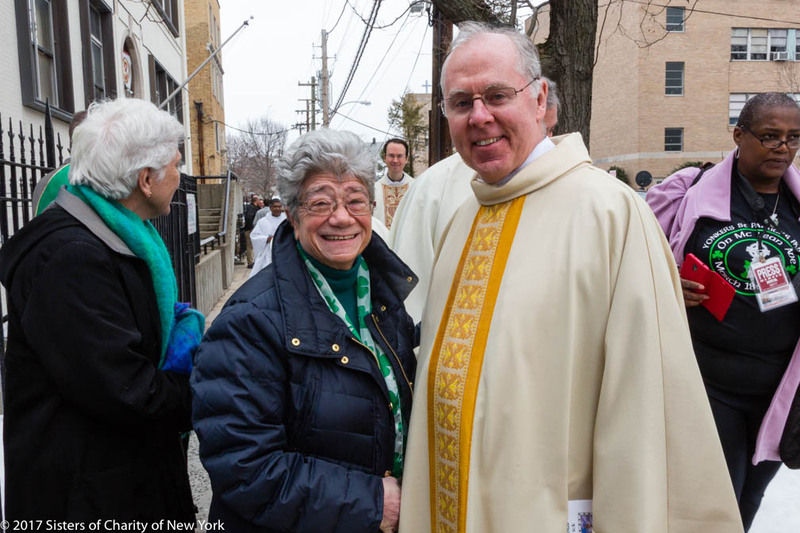 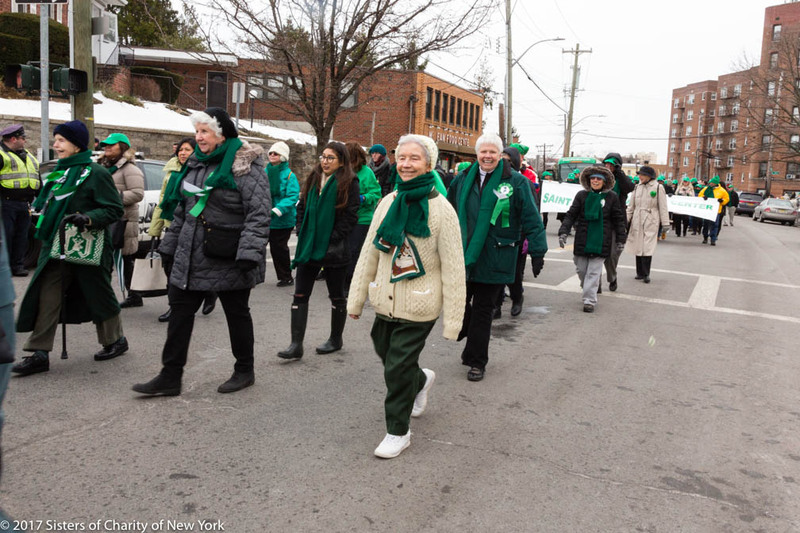 Following a Mass at St. Barnabas High School Chapel, presided by Timothy Cardinal Dolan—who was the parade’s Grand Marshall—the Congregation marched on McLean Avenue in the City of Yonkers the next day, March 18th. 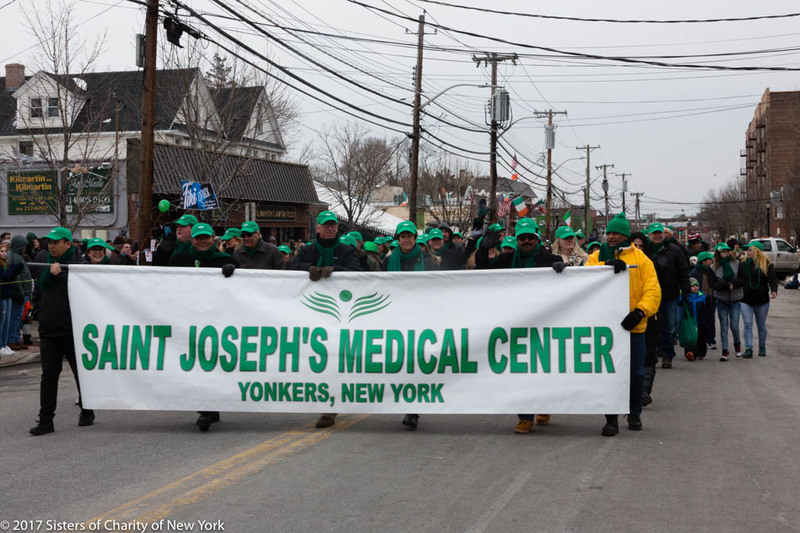 The crowd again cheered on the Sisters, Associates, staff, and colleagues from the Elizabeth Seton Pediatric Center. 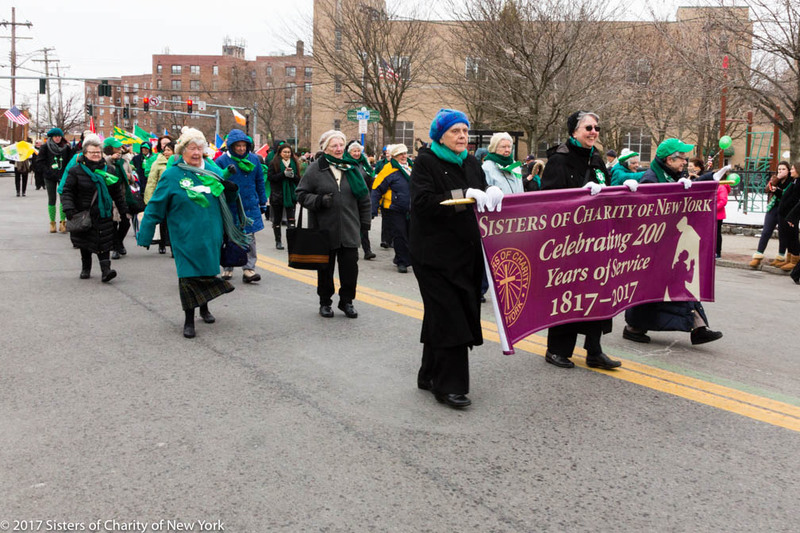 Marching closely behind was St. Joseph Hospital, another Sisters of Charity sponsored ministry. 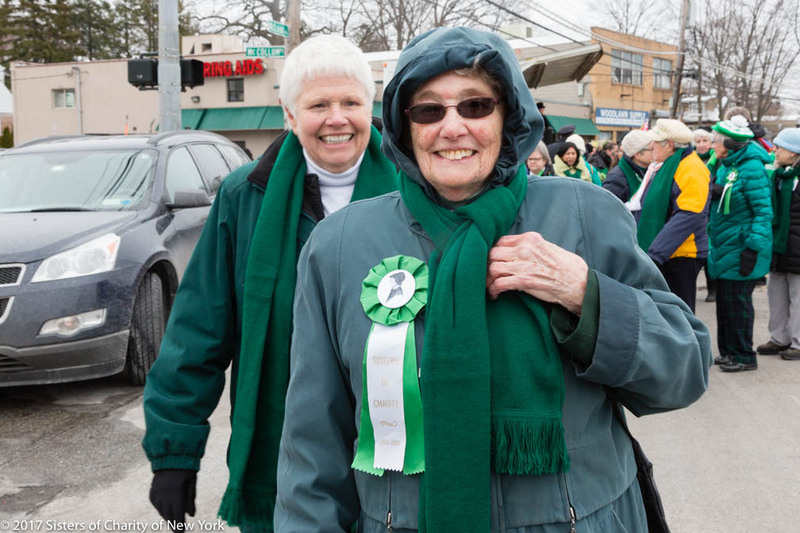 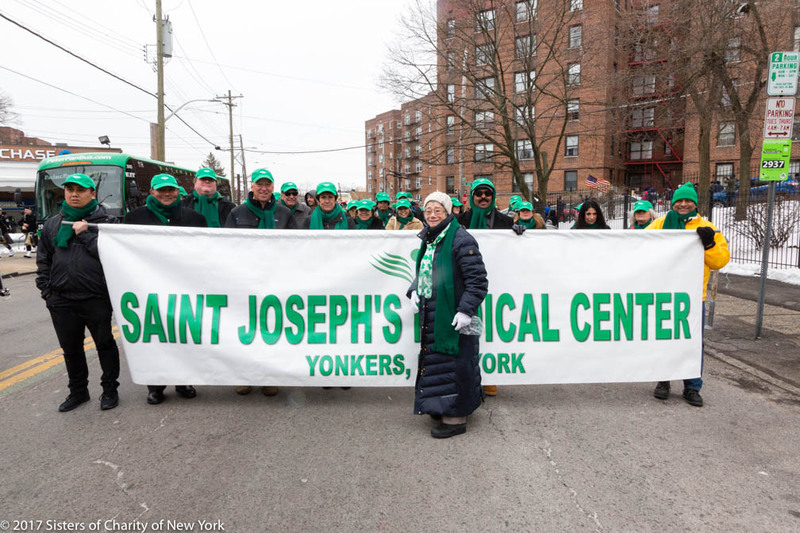 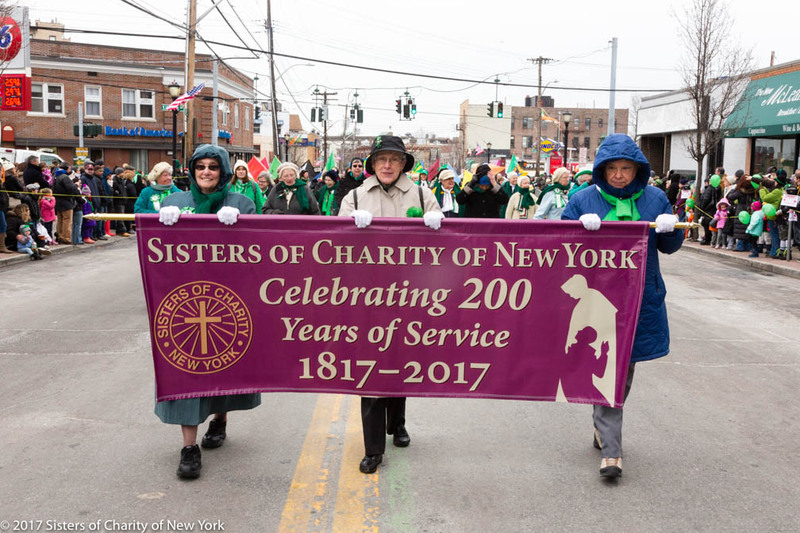 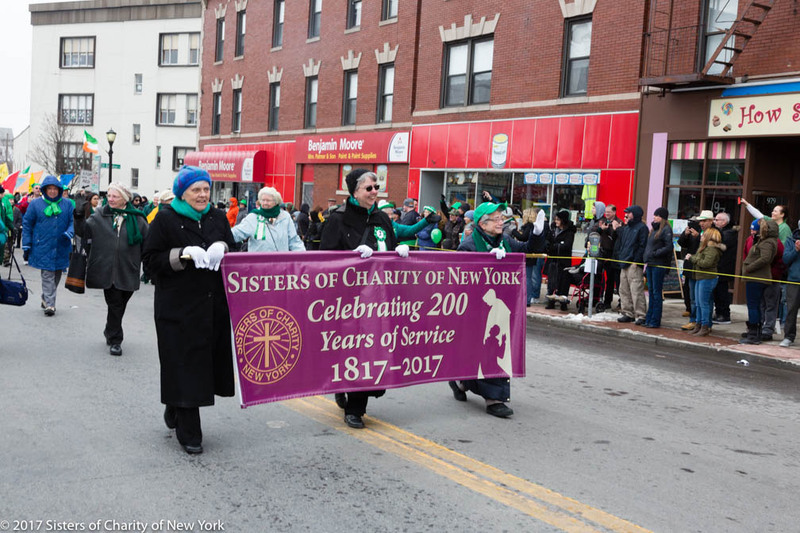 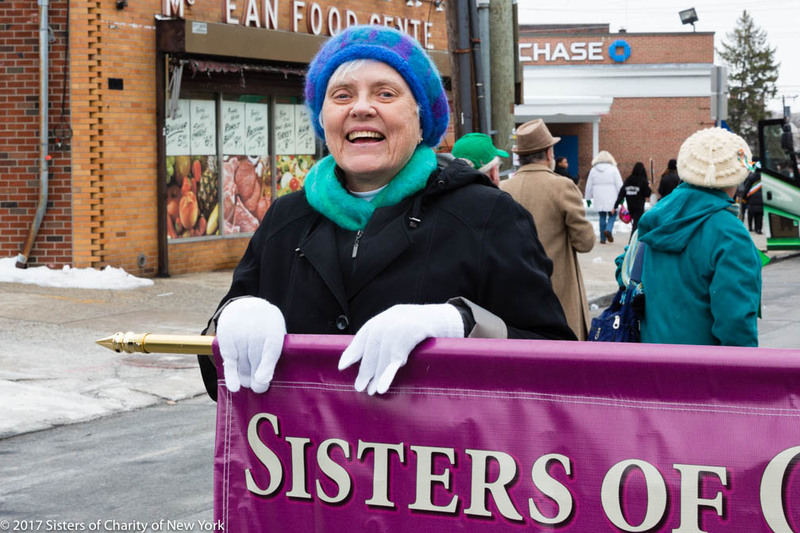 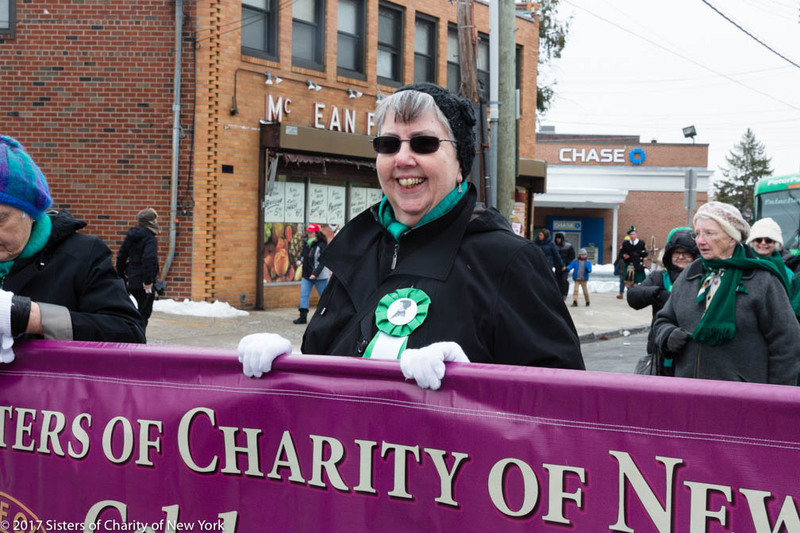 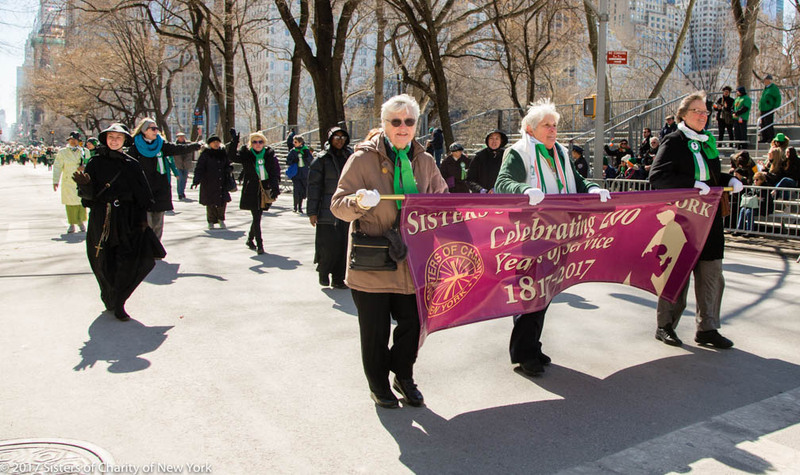 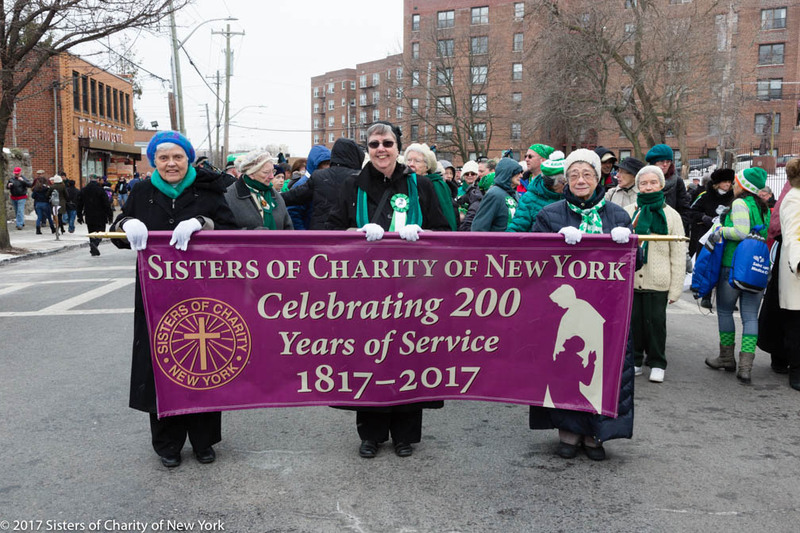 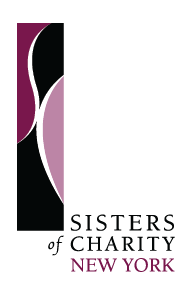 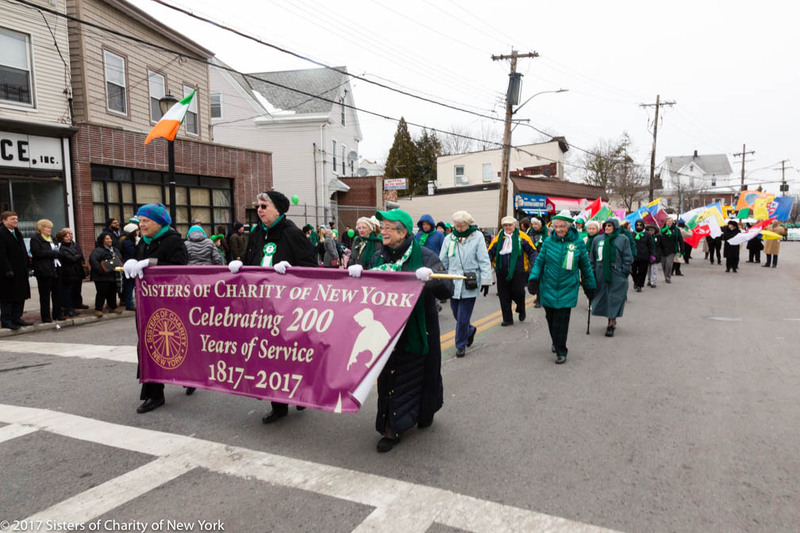 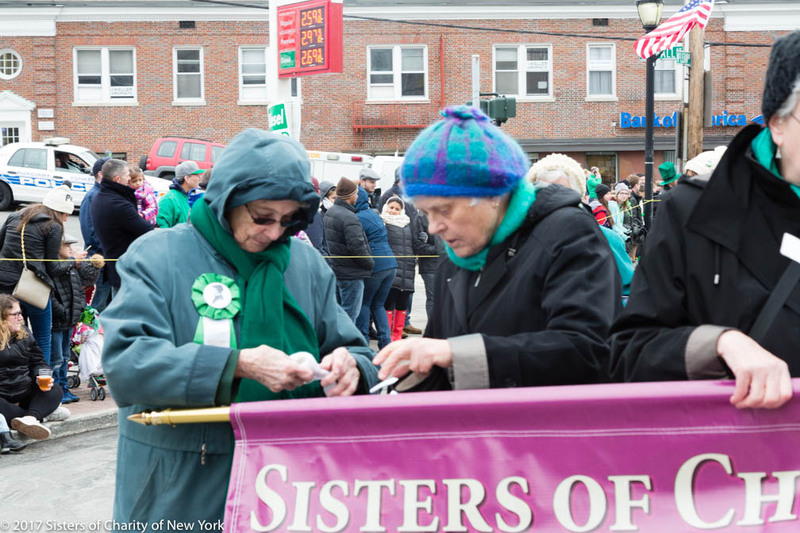 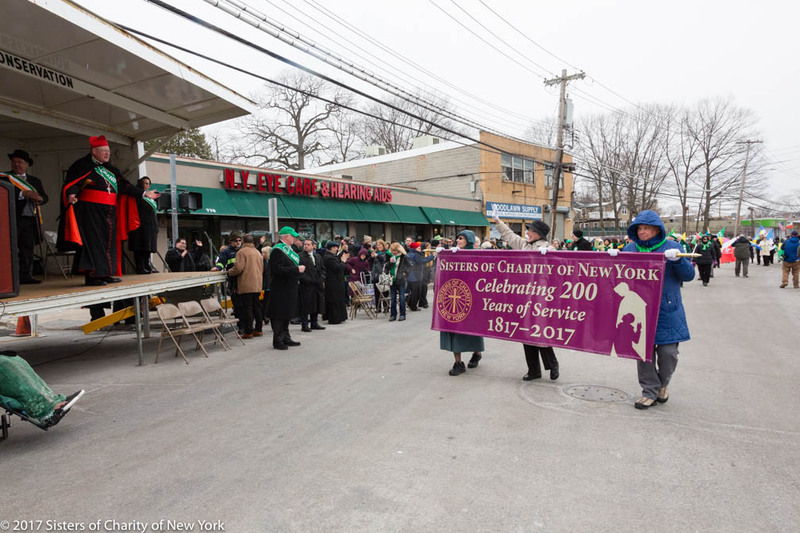 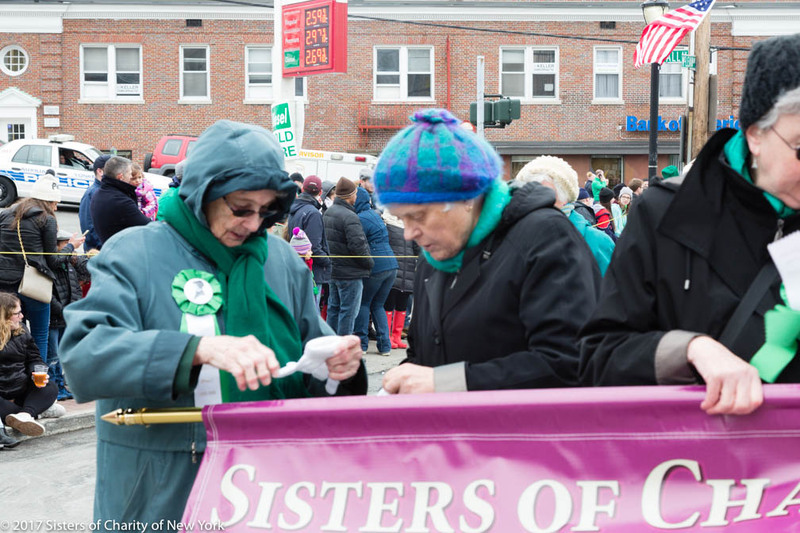 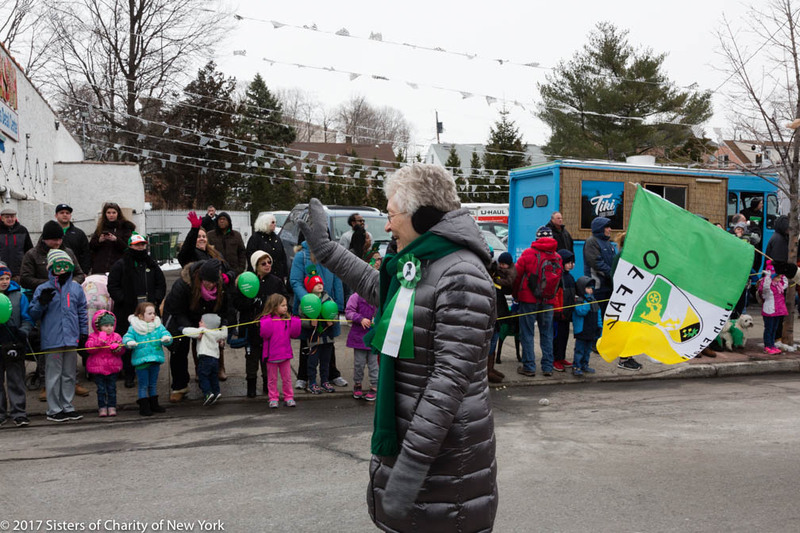 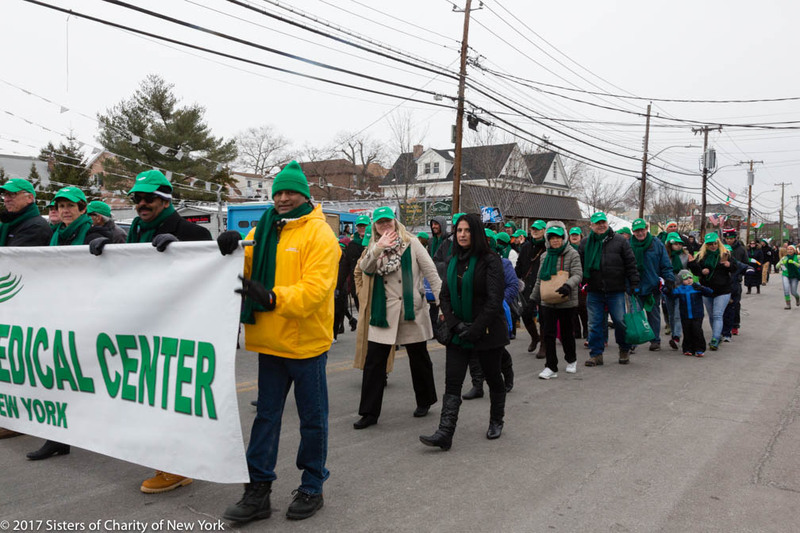 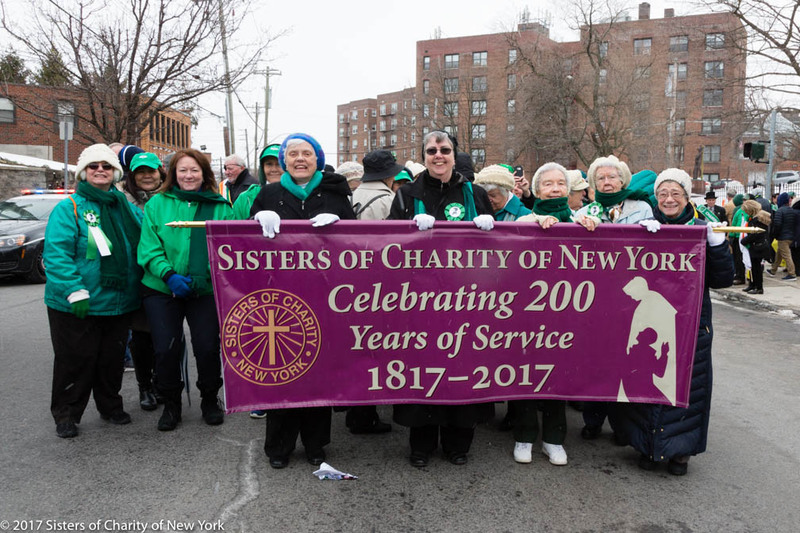 The Yonkers parade was dedicated to the Sisters of Charity of New York in commemoration of the 200th Anniversary. 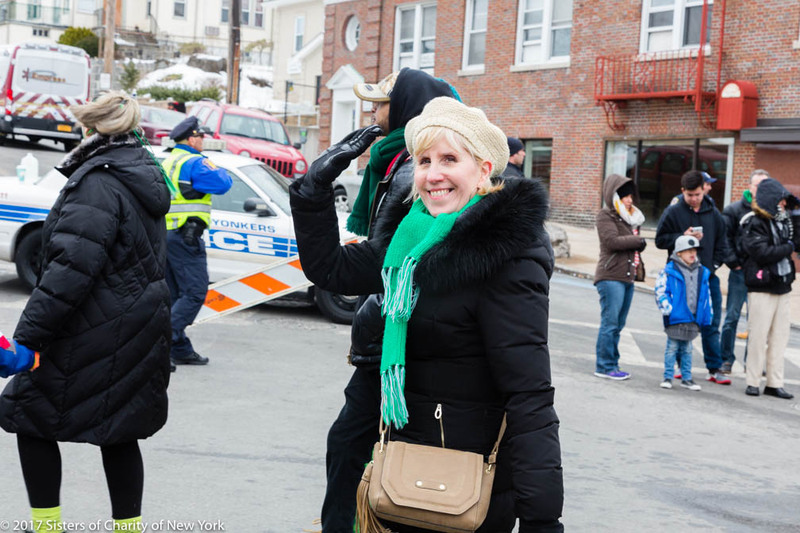 A great time was had by all at both parades.